Receiving emails from SOE (Whitelist)? What is a Secrets Account? How to make a Secrets Account? Our header contains all the navigational options for our site. It is always available at the top of every page. If you can't see it, make sure any white display windows are closed, and simply scroll up. 1. Designs - this button appears on the top left of every page, so you can access all the designs on our site at any time by category and sub-category. 2. Stores - Use our Stores menu to select a designer's store. From there you can use the Designs Menu to browse their Store Categories. 3. Search Keywords - this Search Bar is always at the top right of every page. You can search ALL our stores with this feature, or a particular store, when you are within one. 4. Our other Menus are always visible in the header of each page so you can visit specific pages under the Sales, New Arrivals, Bestsellers, Software and Embroidery Help menus. When you are logged in as a Supplier or Customer, an additional menu will appear in this area. 5. There are additional links in our Footer which appears at the bottom of every page. Although this website can be used on all modern browsers, it works best in Chrome. You will see a slightly different version of our website if you are using a mobile phone or tablet. If you are using a phone, tablet or iPad, make sure your device is not set to PRIVATE browsing. You may not be able to see our menus and shopping cart if your browser is set to Private. To turn off Private Browsing on an iPhone, iPad, or iPod touch, open Safari and tap the Pages icon at the bottom right of the screen. Tap Private to turn private browsing off. If you are using Firefox, Private Browsing is turned on when you open a New Private Window from the menu or choose Never Remember History under Options/Privacy/History. Change this option to Remember History. Using Firefox in Private mode, you may not be able to close our design overlays. How do I ensure I receive emails from Secrets of Embroidery (Whitelist)? We do not want you to miss out on important updates and other Secrets of Embroidery benefits. In order to help ensure proper delivery of our newsletters and emails to your inbox, you can Whitelist and tell your email provider we are legitimate and an Approved Safe Sender. 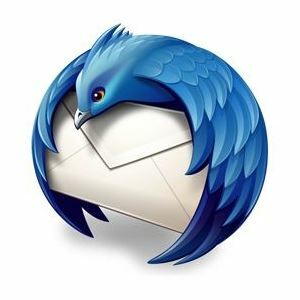 Below are instructions and examples on how to do whitelist emails for several popular Internet Service Providers and email companies. *Note: We only send emails because you requested them. We do not send unsolicited emails and you are free to unsubscribe at any time. 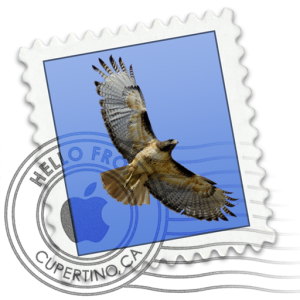 This guide is designed to help you keep emails from being moved to the spam folder. 1. 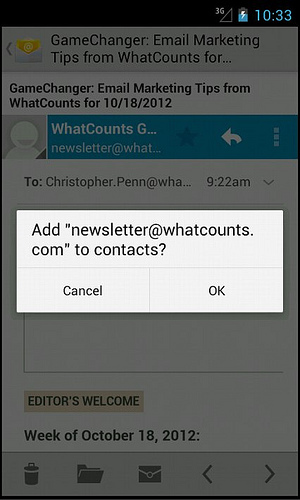 Click Contacts in the right toolbar. 2. Click Add Contact. 3. Enter [wlemail] and additional information if you wish. Our download files all use a three letter code that corresponds to the design store they come from. as well as under Purchases when you log in to My Secrets. Below is a complete list of our design stores and their corresponding codes to help you organize and identify your download files. After your payment has been made a download link appears on your screen. An order confirmation email is also sent to you with the download information. If you have not logged in to your My Secrets account before placing your order, your receipt and order confirmation email will be sent to the email address that you used to pay by Paypal or Credit Card. You may download your order from the on screen links or from the links in the email notification. Your download links are valid for one attempt only. You can request a new download link at any time from your My Secrets log in area. You will see download buttons for each item you ordered. Just click on each button to start the download process. Take note of the folder location you choose, so you can locate it again after downloading. After you are happy with the folder you have chosen, click the Save button. We recommend you always download your files to the same folder so you can easily find them. If you don't receive your order confirmation email with your download details, please check the following. Alternative Email Address - We send your order confirmation email to the email address on your order. If you use a different email address for your PayPal account the order confirmation email may have been sent there. This can happen if you are not logged in to your Secrets account when you place your order. Check both your Secrets email account and your PayPal email account. Spam Filters - Your order confirmation email may have been sent in error to your spam or junk mail folders. Make sure to check these folders, and that if you use a safe/white list, our email address office@secretsof.com has been added to it. Occasionally, if you are not able to download your design, it may be due to an internal error we need to correct from our end. Just send us an email using our Contact Us link and we will attend to any errors as soon as possible. If you have a problem with the design file you download it may be that the file became corrupted during the download process. The first thing to try is to temporarily close any antivirus program working on the background of your computer and download again. Request a new download link from your My Secrets log in area. If you still have trouble, just send us an email using the Contact Us link from the top of any of our website pages and we will be happy to help. For security reasons, each download link can only be used once. You can re-set the link so you can download again from your My Secrets area. Go to Order History or Purchases and click on the Request Download Link button next to the order or product you wish to download again. A copy of your download link will be sent to you by email. Your computer crashes and you lose files previously downloaded. You can't find where you saved the downloaded files on your computer. You have a new computer that you want to download to. You want to download in a different design format. If you are purchasing designs from Secrets of Embroidery, you can download them to your computer when you have completed the purchase. 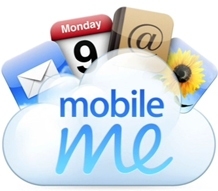 Profile - update your personal details, change passwords, subscribe to newsletters and combine email addresses. Order History - See a detailed history of all your individual orders and download them again. Purchases - Easily view all products you have ordered and download any again. Secrets Bank - See the Reward Points you have earned and spend your Secrets Dollars. Wish List - View all products on your wish list, and add them to your Shopping Cart when you are ready to order. Your Secrets Account is based on your email address. An account is automatically created for you if you place an order with our site, or subscribe to one of our free newsletters, using the email address from your order or subscription. If you haven't yet placed an order and would like to register a new account, use the SIGN UP link at the top of any of our website pages. When an email account is first registered for you (by placing an order or subscribing to one of our newsletters), a computer generated password will be allocated to your account. Log in using this password, then choose your own by updating it from your My Secrets log in area. Log in to your My Secrets and click through to the Profile area to update your password at any time. Use only one email address - Ensure you use the same email address for your newsletter registrations, orders and payments at Secrets of Embroidery. This way all your customer reward points and orders will always show in the one email account. 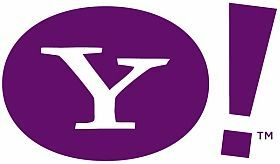 Email address for PayPal payments - If you are not logged in to your My Secrets account, and you use a different email address to make your PayPal payment, a new email account will be created with us under the PayPal email address. Make sure to log in to your My Secrets before you place an order. Combine email addresses - If you have ordered from our site using more than one email address, you may want to combine the accounts so that all your orders and points are together. Log in with the email address you no longer want to use, then click through to Profile to combine the accounts. 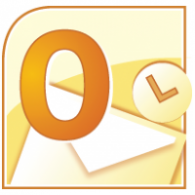 Change your email address - If you have a new email address, just log into your account with your old email address and update your details by going to Profile. Our passwords are case sensitive, so make sure to use either upper or lower case letters as appropriate. When you enter your email address and password, be careful not to leave a space before either entry. If you still have trouble with your login, it could be due to your cookies, or temporary Internet files not refreshing, and enabling you to load a fresh page. Try deleting your cookies and cache, then re-start your computer to save the settings and try logging in again. Your computer security setting may also be interfering with your login. Try adjusting your security settings. You will earn points while shopping at Secrets! Become a Secrets customer and we will reward you for coming back to us! For every dollar you spend at Secrets, you will receive customer points which accumulate with every order to contribute to a credit in your My Secrets account. You don't need to spend any extra - it's all about where you shop, not how much you spend. It's a great way for us to say "Thank you for shopping at Secrets!" Make sure you Log in to your My Secrets Account before you go shopping! Earn points while shopping at Secrets! Become a Secrets customer and we will reward you for coming back to us! There is no need to register - membership is automatic and free if you are logged in to your account at My Secrets. As soon as you make a purchase at Secrets you'll start receiving points. Our website will recognize you when you come back and shop with us again. For every $20 you spend at Secrets, you receive seven points. Your points are converted to Secrets Dollars and are automatically added to your Secrets Bank. You can check your balance at any time by going to Secrets Bank once you log in. When you have more than 70 points, you can redeem your credit by clicking on the Go Shopping link under your Secrets Bank. Log into your My Secrets and click through to the Secrets Bank area before you start shopping. Click on the Go Shopping button (this will be showing when you have earned at least 70 points and have enough Secrets Dollars to spend). Choose the item you want to purchase from the Secrets Website, add it to your cart and go to the checkout. Type the Secrets Dollars amount you wish to spend on your order in the box shown at the checkout. Click the Update button at the checkout. The Secrets Dollars will then be deducted from your payment, and your Secrets Bank. There is no need to register - membership is automatic and free. As soon as you make a purchase at Secrets you'll start receiving points. Log into your My Secrets and click through to the Secrets Bank area. Go to Show History to check all of your orders are showing correctly as having earned points. If some of your orders are missing, they may be under a different email address. Combine your orders so all your Customer Points are together under the one email address. There is a form on the Profile page that allows you to do this. Our customer rewards program started at the end of October 2004. Orders prior to this date may not qualify. Our shopping cart has been especially built for our website and is designed to make your experience with us simple and fast. You can browse our extensive website and choose from a variety of embroidery designs, projects and tutorials. Just like in a large store, you proceed to the checkout with your cart when you have finished. As long as you are logged in to your My Secrets account first, you can add items to your shopping cart and they will be saved there until you complete your order at another session convenient to you, even if this is from another computer. If you think you might like to make a purchase, just click on the Add to Cart button. You can always remove items from your cart later on by deleting them at the checkout. When you have finished shopping, click the Shopping Cart icon to checkout. All the products you have selected will be listed there. Once your payment has been processed, tutorials and designs may be downloaded at once. Embird passwords will be emailed to you within 24 hours. Your Wish List is a feature of the My Secrets log in area where you can save items you may wish to purchase at a later date. It is your list of personal favorites. If you are placing a large order that can't be completed in one session, it can be a good idea to add the designs to your Wish List in the first instance, where they will be safely saved until you are ready to finalise the order. Once you have logged in, you can add any product to your Wish List by clicking on Add to Wish List next to the Add to Cart button. You can transfer items from your Wish List to your shopping cart with one simple click, or from your shopping cart back to your Wish List. If you order $35 or more of product from anywhere on the Secrets of Embroidery website (after any discounts have been applied), you qualify for a free bonus set of designs. Our most recent Bonus Set will be automatically added to your shopping cart. All current bonus sets can be viewed here. You can change your Bonus Set at the checkout. In order to choose a different bonus set, click on the "change your bonus set" link. This will take you through to the Bonus Set page. Then use the "select" button on the bonus set page to make your selection. Make sure you don't use the "add to cart" button on the bonus page or you will be charged for the set. If you complete an order and receive a bonus set you already have, just let us know the name of the bonus set you would like in exchange. We will then update your order and send you a new download link. Our famous Treasure Hunt is held in February and August each year. Be on the lookout for hundreds of Treasure Sets hidden throughout our site. Look for the famous secret Gold Coins to identify $1 treasure, and the valuable Diamonds to mark some of our most popular sets for $5 or $10. All Treasure Hunt orders will earn customer reward points, which can be redeemed at Secrets. You can also log into your Wishlist and see if any of your favourite designs are included in the Treasure Hunt. Current Sales - All current promotions can be viewed within our Special Offers menu. Discount Sale - This type of sale qualifies you for a specified percentage off the product price advertised on the design page. Any items that have a discount sale applied will show a colored sign beside the Add to Cart button. This sale will be shown at the checkout with the full product price crossed out, and then the sale price. The total is automatically updated to include the discount. Gift with Order - This promotion entitles you to a free gift from the supplier when you order from them during the promotion. Sometimes a minimum order amount is specified to qualify for the free gift. The free gift will not show at the checkout until the minimum amount has been added to your cart. Buy One Get One Free - Purchase one set, and get a second set of equal or lesser value free. The set must be purchased from the same supplier to qualify. You will be notified at the checkout if you qualify for a free set from a store running this special. Just click through on the link provided to visit the suppliers store, and add a second set of your choice to your cart. Now return to your cart. The set of equal or lesser value is automatically included FREE with your order. All our designs are available for instant download and we are happy to help you learn how to download them and how to copy them to a CD or other external media yourself, if you wish to retain a hard copy for your personal back-up. We don't send designs on CD. If you are unable to download, we can sometimes send your design files by email attachment if your order is small. We offer two online payment options - credit card (Visa, Mastercard, American Express, and Discover) or PayPal account. Both types of payments are processed instantly using PayPal's secure server, so once your order is completed you will be able to download your designs and be stitching within minutes. From the checkout, choose your preferred payment method once you are ready to complete your order. Follow the on-screen prompts to complete the processing on your order and finalize your payment.Payment is made on PayPal's secure server. You will have the opportunity to modify your order before payment is completed. If you have any trouble completing your payment, transfer the items in your shopping cart to your Wish List so that they are saved and you can find them again easily. Delete your cookies and cache, re-start your computer and try ordering again. Sometimes there can be a delay of a few seconds in the connection between PayPal and our website. Please be patient. If you click on the payment button more than once or refresh your browser, it can result in a duplicate payment. If you suspect this may have happened, just send us an email using the Contact Us link at the top of any of our website pages so we can check for you. We can process refunds for duplicate payments immediately. PayPal eChecks: Sometimes a PayPal payment is processed as an eCheck. This happens when PayPal doesn't have a record of a current credit card as a back-up to your account. eCheck payments remain uncleared until the funds have cleared from the sender's account, which usually takes four business days. As soon as PayPal notify us your payment has been cleared, we will update your order and send your download link. Before ordering or downloading a design, you need to know what type of files your machine can actually display and use. Designs are created by a technique called digitizing. There are particular file extension names that apply to the different brands of machine. For example, the design called elephant.pes would be for a Brother, because Brother uses the file extension .pes If you are not sure what file extension you can use, refer to your machine manual or the list below. If you are ordering embroidery designs from Secrets, in most cases you will need to choose your format first from the drop down box next to the Add to Cart button. You will see the major domestic design formats available for that design. If we don’t have your format you can easily use a conversion program like Embird to convert from another common format such as PES. If there is no Choose Format list displayed it usually means all common formats are included in the one download file. If you need to change the format on desgins you have purchased, you can do that from your My Secrets log in area. Once logged in, go to Purchases, update the format then reset your link to download again in the new format. Please note only the formats available from the design store at the time of purchase will be shown for you to choose from. Embroidery Software Programs - Sometimes your embroidery software program like PE-Design, Bernina Artista, Husqvarna etc. will enable you to import designs in a different format and convert them to the one you need to use on your machine. The choice of supported formats you can import may be limited to the most common ones like PES and HUS. Also, you may only be able to convert to, or save as, the native format the embroidery software uses. Embroidery Conversion Programs - There are different conversion programs available like BuzzTools and Embird which can convert to and from many different embroidery formats. Embird is the most commonly used, and is extremely popular. New users can download a free 30 day trial, and use it to convert to and from different embroidery formats within this time frame. We have a complete range of Embird tutorials available as well. Reader/Writer Boxes - Another alternative is to use a reader/writer box such as the Magic Box, Ultimate Box or Amazing Box. These boxes allow you to load designs from a variety of sources (popular brand embroidery cards, hard drive, disk drive) and save them to a special re-writable memory card in your machine format. The converted designs cannot be saved however, and will be over-written next time you use the card. When you download your design file, the information files you need will be included within the zipped file. Embroidery designs usually just have a color chart and design information such as stitch count and stitch out size, while projects will come with more comprehensive directions. The color charts and any other included directions can come in different file types or formats. The file extension (the last three letters of the file name eg. 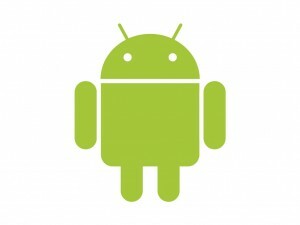 .txt) indicate the file type and determine which program you will need to open and view the file. Simple text instructions may come in a .txt file which you can click on to open on any computer. More comprehensive and detailed instructions that include pictures or patterns will come in .doc or .pdf format. 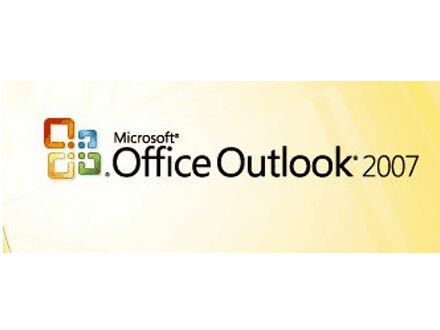 You will need to view .doc files in Microsoft Word or an alternative open source software like Open Office or Kingsoft and .pdf files in Adobe Reader. If you have opened your download file in your embroidery software program and you are not seeing the design information files, it may be because they are in a format your embroidery program can't read or doesn't recognize. Make sure you view the contents of your download file outside of your embroidery program initially, so you can see the full set of files included. Always follow the color chart supplied by the digitizer, rather than the color sequence of your embroidery design file. When you open a design file in an embroidery software that is different from the one used for the original digitizing, the colors in the design may look rather unusual, and not like the original image displayed on our website. This is because designs are created in many different embroidery programs and when designs are converted from one format to another, the thread colors are not always compatible. If an embroidery program doesn't recognize a thread color, it will assign a default color that may be very different. For this reason the digitizer will include a color chart with the designs. It is always recommended you follow the color chart included with the design, rather than the colors your embroidery program may display. Sometimes color charts are brand specific and refer to the particular brand of embroidery thread the designer used. You may of course use a different brand of embroidery thread. If you want to convert the color exactly from one brand to another using the thread color codes, you can use a thread conversion chart, or a program like Easy Threads. Many of the latest color charts include a description of the color, or color swatches you can use as a guideline instead of a specific color code relating to a particular thread brand. This makes it easier for you to choose a matching color from your own thread collection, without having to worry about converting codes from one thread brand to another. All embroidery machines have limitations, so when you are shopping for designs, keep in mind your particular machine's embroidery area and stitch count limit. Refer to your machine's user manual or the company that manufactured the machine if you need to confirm the specifications. If you order a design larger than your machine can read, your machine will not display the design, or it may generate an error message. The number of stitches in a design will be included in the information file you download with your designs, or displayed on the site if the designer has supplied it. If you would like these details prior to ordering, just let us know the exact name of the design so we can check the details for you. The hoop size is shown next to the Add to Cart button for each design set. This is the minimum hoop size required to provide the sewing field necessary to accommodate the largest design in that set. The hoop size may not indicate actual stitch out size, as there could be a range of sizes within the set. If no hoop size is shown, or you would like to know exact stitch out sizes, please contact us with name of the set so we can check the details for you. Our Dollar Designs are all for the 4x4” hoop unless they are marked with an *. The asterix means they require a larger hoop size. Our designs are only available as sets, unless they are displayed on the page as singles. Sorry but we are unable to split the sets. All our Singles Designs are visible in the Categories menu. Single Designs can also be found by using a filter button on the Categories display. This will only show if there are Single Designs available in that category. 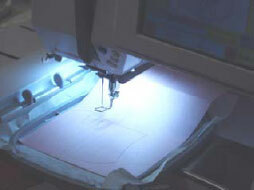 Many of our designers offer a free embroidery design as a sample for you to try. Our Free Designs can be found under our Special Offers menu on any of our website pages. Our images are all copyrighted and we do protect our designers work from internet piracy and theft. If you would like to copy the pictures of the designs you have purchased from us to use for a guide when sewing out your designs or for your personal records, please contact us so we can assist you. 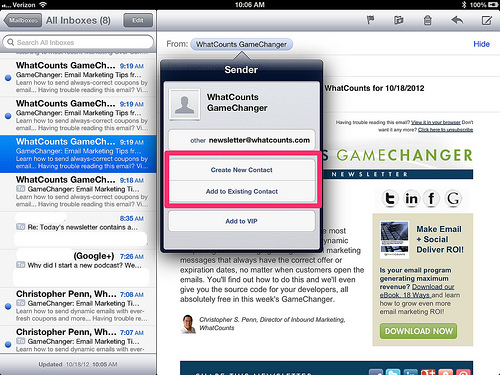 Just use the Contact Us link (at the top of any page on our site) to send us an email with your design query. Include the name of the design store, the name of the set, your order number if applicable and any other relevant details we will ask the designer to contact you. You may use designs on any sewn items for yourself or that are distributed as gifts. You can also use the designs on items for resale, as long as you make them yourself as part of a home business and they are not made or sold on a large commercial scale (mass-produced). Some designs have a limit to the number of sewn items that can be sold - please refer to the copyright file that is included with each design set downloaded, as our different designers may have specific regulations for those designs. All of our designs are digitized designs which can be downloaded to your computer for transfer to an embroidery sewing machine so they can be stitched out. We don't supply finished patches, projects, or patterns for hand embroidery. Sometimes we run a particular promotion which requires a CODE to be entered on the checkout page. Our GIFT COUPONS all have a code on them that gives you a discount at a particular store, they are usually valid for a limited period of time. 2. Subscribe to our Embroidery Secrets newsletter and get the latest GIFT COUPON CODES from there. If a CODE is given as part of a promotion, enter it in the area indicated on the right side of the checkout page and click the Update button. Your cart will be updated to reflect the discount and the total will be changed. No doubt you will have seen some of the amazing embroidery sewing machines that are available now. Thanks to modern technology, scanning, programming and creating designs can now be a part of everyday home sewing and home embroidery. You don’t have to be a computer whiz to operate these fantastic machines as they are very user-friendly. You can buy embroidery designs on diskettes to go with your machine, or download free embroidery designs from the Internet. Remember that embroidery designs come in different formats for the different brands of machines. Look into the different brands of embroidery machines available and choose one that suits you best. Allbrands is a handy website with lot of information about the various brands of machines. The latest versions of each machine will have the most up to date features, largest sewing fields, and easiest ways to transfer designs from the computer to your machine. If you can afford the latest, then purchase it. But don't worry if you can't as the earlier machines are also great value and will enable you to create amazing projects. Your time will be well spent initially doing some research on the Internet. You should have some idea of what options you want on your embroidery sewing machine before stepping into a sewing center and putting yourself in the hands of a salesperson. What support is available. Is there a good sewing machine dealer in your area that supports your brand of machine? They will be able to help you use the machine, get supplies for it, and also service it. The sewing field and hoop size. Embroidery designs come in different sizes. If your machine only has a small hoop size, you will be limited to what size design you can sew out. Everyone always wants to sew out the biggest size available. Standard sewing field sizes are 4x4" 5x7", 6x8" and up to 8x12" with some machines. The sewing field is the area inside your hoop where the design is sewn. The physical measurement of your hoop is different to the sewing field size. How will you obtain your embroidery designs? Do you need any additional hardware and software to use designs from the internet with your machine? How will you transfer designs from your computer to your machine? The embroidery format your machine uses. Embroidery designs come in different formats for the different brands of machine. You need to ensure the format your brand uses is commonly available online. If it isn't, then you need to check what software you will need to convert to your required format. The major formats like PES (Brother) and HUS (Husqvarna) are commonly available. However, sometimes machines require a certain version of the format that is not available everywhere and you may need the software to convert to this. Do your research on this before you purchase. Another thing to take into consideration when buying a machine is the cost of the digitizing software if you intend to create any designs yourself. A good sewing machine dealer will be happy to let you try different machines and will show you how they work. You should sit down and play with them until you have a good feel for the machine. Be comfortable with your machine. The most important aspect of choosing your computerized embroidery sewing machine is how comfortable you feel about its controls and viewing screen. Do you feel confused by it, or does it seem to make sense? Is it easy to get it to do what you want it to do, or does it seem illogical to you? The buttons, layout and procedures of the machine are what you will be dealing with, so make sure they make sense to you. You should not feel pressured to buy a more expensive model. A good dealer will never try to offer you a special sale price that you have to take immediately or miss out on - rather, they should offer you the opposite - an extension of a special price so you have time to make up your mind comfortably. Try before you buy. You should visit your local sewing machine dealers and try a variety of different machines to see what you like. Bring your own thread and your own fabric (of types similar to that with which you plan to do your regular sewing) to try the machines with. Note that some dealers will offer to provide these items for you. You should try your own anyway, as they may provide thread and fabric which the machine handles well, but that you wouldn't actually want to use. Ask about lessons and courses that the sewing center may offer. Some offer video tapes. Don’t be afraid to ask questions. Ask people who do machine embroidery. Read the warranty before buying an electronic or computerized sewing machine to see how the manufacturer guarantees the electronics. Many manufacturers warrant the electronics for a shorter period of time than the mechanical parts of the machine. Be familiar with the hardware requirements. If you want to connect your sewing machine to a computer for doing machine embroidery make sure that it can be connected to your type of computer. 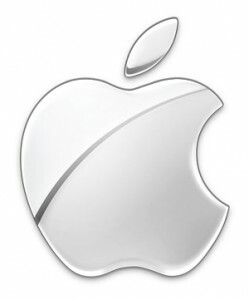 For example, some sewing machines can not connect to Apple computers, or your laptop may not have the correct port. Most importantly, take into consideration the price of software needed. Dealers will always want to sell you the latest software to go with your machine. While some brands require brand specific software and hardware, others can use just as well generic programs like Embird. Do your research before you purchase your machine and it could save you money in the future. Whether you sew constantly or occasionally, basic maintenance of your machinery is essential. Some models need to be oiled after every 10 hours of use. Always check your manual first. Some of the new machines do not recommend oiling unless it is done by an authorized trained technician. If your manual recommends oiling, be sure to use proper sewing oil. Oiling not only lubricates the moving parts but also reduces the risk of rust. Refer to your owner’s manual for the right spots to oil. Not every hole needs oil! Some older models have marks to show you where to put the oil. After oiling, do some sewing on scrap material to absorb any excess oil. Lint and fluff build up and should be removed. Fine working mechanisms such as the bobbin and tensions can be damaged by lint build up. Use a lint-removing brush or vacuum cleaner to remove this regularly. Never use sharp tools to dig out lint. Treat your machine to a full service regularly by an authorized trained technician. This will keep everything working nicely - they can get out bits of thread, lint etc. that are stuck right inside the workings of the machine and could cause damage, or prevent it from sewing quite as well as it should. Change your needle regularly. It is reccommended to change it after every 10 hours of sewing, or before you start a new project. If in doubt, ask the experts. Your embroidery machine is a valuable and highly computerized piece of delicate technology. If you are not sure about anything, always check with an expert. 3D FOAM Foam that is used to add dimension to an embroidery pattern that is typically used on caps. The 3D foam is placed on the topside of the pattern and stitched over with shortened stitches to cut the foam. The excessive foam is then pulled away from the embroidery giving a 3D appearance. 3D foams are available in various thicknesses. APPLIQUE The use of fabrics sewn onto one another for decoration that adds dimension and texture. Designs with applique are economical because they reduce the amount of embroidery stitches needed to fill the design area. BACKING A woven or nonwoven support material added to the back of the fabric being embroidered. It can be hooped with the item or placed between the machine throat plate and the hooped garment. It comes in various weights in three types- tearaway, cutaway and washaway. Backing is often called stabilizer. BIRD NESTING Collection of thread between goods and needle plate that resembles a bird's nest. Its formation prevents free movement of goods and may be caused by inadequate tensioning of the top thread or flagging goods. BOBBIN Spool or reel that holds the bobbin thread, which forms secure stitches on the underside of the fabric. A special lightweight embroidery thread is generally used when sewing out embroidery designs. BOBBIN CASE Small, round metal device for holding the bobbin. Used to tension the bobbin thread, it is inserted in the hook for sewing. BORING or CUTWORK Open-work incorporated into embroidered designs; a sharp pointed instrument punctures the fabric, and stitches are made around the opening to enclose the raw edges. BUCKRAM A woven fabric treated with a glue substance to stabilize fabric for stitching. It is commonly used for caps to hold the front panel in place. CHENILLE A form of embroidery in which a loop stitch is formed on the topside of the fabric. Heavy yarns made of wool, cotton, or acrylic are used. Some designs are digitized to look like chenille. COLUMN STITCH A series of zig-zag stitches placed closely together to form a column. Also known as a steil stitch or satin stitch. 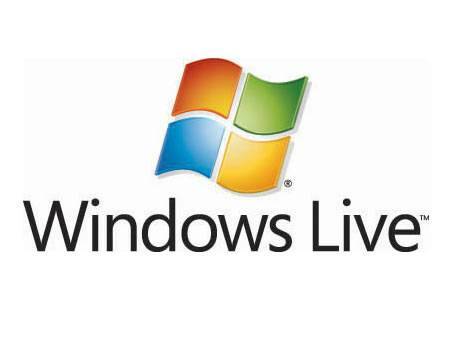 CONVERSION SOFTWARE Programs that read information and translate it from one machine to another. Embird is a popular conversion software. CUSTOMIZING (editing) Manipulating an embroidery design using rotation, mirror imaging, merging one design into another or resizing. COVER SEAMING A two-needle stitching that runs around the armhole and base of the band at the bottom of a shirt, sometimes used for set-in sleeves of sweat shirts. It is a feature most often found in heavyweight and super heavyweight sweats. DENIER The international system for numbering silk and man-made filament yarns and fibers. The low numbers represent the finer thread sizes and higher numbers, the heavier yarns. DESIGN Stitches that compose an embroidery pattern or monogram. Often called embroidery designs. DIGITIZING The process of taking artwork from any source, including your original drawings, and turning it into a language that a computerized embroidery machine can translate into stitches. A modern term for punching, it is a method of programming a design. Artwork is converted into a series of commands to be read by an embroidery machine's computer. DOWNLOAD Transferring a file from the Internet to your computer. When you order designs online, you generally need to download them. EDITING Changing aspects of a design using a computerized editing program. Most programs allow the user to scale designs up or down, edit stitch by stitch or block by block, merge lettering with the design, move aspects of the design around, and other features. Embird is a popular editing software. EMBROIDERY Embroidery is “thread art” used to embellish a garment, hat or some other product by adding a sewn pattern. Generally, this sewn pattern includes a design and can also include lettering and/or monograms. EMBROIDERY MACHINE Today, embroidery machines can be defined as computer driven machines that move a pantograph with hooped items in various directions to form different stitches. Embroidery machines can be single-head units as used by the home embroiderer or come in multiples of heads with multiple needles per head for production embroidery applications. EMBROIDERY UNIT The machine part that holds and guides the hoop so you can embroider. FILL STITCH A series of running stitches commonly combined to cover large areas. Different fill patterns can be created by altering the angle, length and repeat sequence of the stitches. FINISHING Processes performed after embroidery is complete. Includes trimming loose threads, cutting or tearing away excess backing, removing topping, cleaning any stains, pressing or steaming to remove wrinkles or hoop marks and packaging for sale or shipment. FORMAT Machine specific readable information. The format is identified by the last 3 letters, or file extension of each design file ie, .PES, .HUS, .JEF etc which relate to the machine brand that design format can be used with. A conversion program like Embird can be used to convert designs from one format to another. HARDWARE The physical parts of a computer - monitor, chip boards, processor, disk drive, etc. If you want to use CDs, downloaded Internet designs or original artwork, you must have a computer, cables to connect it to your sewing machine, and sewing machine software to tell the hardware what to do. When you buy disks, software, or other add-ons it is important that they're compatible with your existing hardware. HOOP (n) A plastic frame that attaches to the embroidery unit to hold the fabric taut while stitching. Generally speaking, you want the smallest hoop that will accommodate your design in order to keep the fabric taut. Larger designs are becoming more popular so you'll want several hoop sizes. HOOP (v) The process of placing the fabric and/or stabilizer into the embroidery hoop. One of the most common reasons for a poorly stitched design is improper hooping. LETTERING Refers to the embroidery of letters, either made completely with stitches or a combination of cutout applique pieces and stitching. LOCK STITCH Commonly referred to as a lock-down or tack-down stitch, a lock stitch is formed by three or four consecutive stitches of at least a 10-point movement. It should be used at the end of all columns, fills, and at the end of any element in your design where jump stitches will follow, such as color changes or the end of a design. LOOPING Loops on the embroidery surface generally caused by poor top tension or tension problems. Typically occurs when polyester top thread has been improperly tensioned. MACHINE LANGUAGE The codes and formats used by different machine manufacturers within the embroidery industry. MARKING Marking of goods to serve as an aid in positioning the frame and referencing the needle start points. MEMORY CARD A computerized, machine-format- specific card that fits directly into your sewing machine and works with the built-in computer to stitch out designs. Cards can be purchased with designs already on them or you may purchase blank cards to transfer designs from disks, CDs, the Internet or your computer, using hardware and software for your specific machine. Cards aren't interchangeable unless you have a converter box or conversion software. MIRROR A program menu option that allows reverse imaging of a pattern to be sewn. See also rotate pattern. MONOGRAM Embroidered design composed of one or more letters, usually the initials in a name. NAP A fuzzy or downy surface of fabric covering either one side or both, produced by brushing loosely twisted yarns. NEEDLE Small, slender piece of steel with a hole for thread and a point for stitching fabric. A machine needle differs from a handwork needle; the machine needle's eye is found at its pointed end. There are special embroidery machine needles available. NEEDLE PLATE The metal plate located above the hook assembly of an embroidery machine. This plate has a hole in the center through which the needle travels to reach the hook and form a stitch. ORIGIN The starting point of your design. REGISTRATION This refers to the ability to line up details and parts of designs with each other. ROTATE PATTERN Program parameter that rotates the design in 90-degree increments counterclockwise, with or without mirror imaging the design. RUNNING STITCH A series of single stitches forming a line. One stitch which goes Point A to Point B. A running stitch is often used for fine details, outlining, and underlay. Consists of one stitch between two points. Used for outlining and fine detail. Also known as a walk stitch. SATIN STITCH A zigzag sewing action where two stitches form a column. It is often used for lettering, outlining, and detail. A satin stitch is normally anywhere from 2 mm to 12 mm. SCALING Ability within one design program to enlarge or reduce a design. In expanded format, most scaling is limited to 10 percent to 20 percent because the stitch count remains constant despite final design size. SCANNER A device that takes a computer-readable picture of artwork and brings it into the computer memory so you can digitize the design with your software. SHORT STITCH A digitizing technique that places shorter stitches in curves and corners to avoid an unnecessary bulky buildup of stitches. SOFTWARE Programs and/or files that the hardware uses to learn or perform different tasks. This means embroidery designs, or embroidery programs to view the designs with. SPECIALITY FILL A fill stitch capability that produces a fill with a relief or motif design within the fill-stitch area. STOCK DESIGNS Digitized embroidery designs that are commercially available for general use by embroiderers. SYSTEM REQUIREMENTS What your computer's hardware and software, operating together, can support. 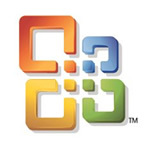 System requirements are printed on software packages, design disk cards and packs, CDs and other computer accessories. You need to know what your system can and cannot support, as sometimes a system isn't capable of handling new software without adding memory or disk space. TENSION The tautness of thread when forming stitches. Top thread tension, as well as bobbin thread tension, needs to be set. Proper thread tension is achieved when about one third of the thread showing on the underside of the fabric on a column stitch is bobbin thread. THREAD Fine cord of natural or synthetic material made from two or more filaments twisted together and used for stitching. Machine embroidery threads come in rayon, which has a high sheen; cotton, which has a duller finish than rayon but is available in very fine deniers; polyester, which is strong and colorfast; metallics, which have a high luster and are composed of a synthetic core wrapped in metal foil; and acrylic, which has rayon's sheen. THREAD CLIPPERS Small cutting utensil with a spring action that is operated by the thumb in a hole on the top blade and the fingers cupped around the bottom blade. Useful for quick thread cutting, but unsuitable for detailed trimming or removal of backing. TRIMMING The action of cutting loose thread, removing backing, etc., from the final embroidered product. UNDERLAY STITCH The stitching action that will attach the backing to the fabric being embroidered. It also supports the top embroidery for a more lofty, dimensional look. UNDERLAY Used under the regular stitching in a design. The stitches are placed to provide stability to the fabric and to create different effects. Underlay is normally a series of running stitches or a very light density fill often placed in the opposite direction from the stitching. Choose the embroidery design you want to sew. Transfer it to your embroidery machine. Be sure that you have enough thread on your bobbin for your design. Insert a new needle if necessary. Select your thread colors - use good quality thread. Choose your stabilizers and fabric. Prepare your hoop carefully with stabilzier and fabric. Make sure it is tight. Make several stitches in place to lock the thread. Stop the design after each color and trim the jump threads - they will be easier to remove at this stage rather than trimming them all at the end. The first thing that everybody learns when starting out is - test stitch your designs. Try to use the same fabric, as it will give the most accurate result. If you don’t have the identical fabric or off-cut, go to your “stash” and find a scrap which is similar and preferably a slightly lighter weight. If your design is going to give problems with your chosen fabric, they will definitely show up on a fabric which is slightly lighter. Test stitching your design also shows you how the finished design is going to look, so you can make any adjustments to size etc. The next thing you learn is how to hoop your fabric. Never pull your fabric tight in the hoop. It should be relaxed and smooth. If you pull and tug until it is “drum tight” it will relax when it is removed and your design will not lie nice and flat but will jump back with the fabric. This is especially important with knits. Avoid stretching at all costs! Another tip is to gently push down (2/3mm) on the corners of your inner hoop before putting it into your embroidery machine. This will decrease the amount of friction caused by the hoop sliding back and forth on your machine because it won’t be plastic going back and forth but rather a layer of stabilizer. Everyone develops their own favourite ways of hooping. Many people prefer not to hoop very lightweight fabrics. Especially thin cotton knits, voiles etc or fabrics which have a nap or pile as these will show “hoop burns”. The best way with these would be to hoop a good, medium weight piece of stabilizer into your hoop (tight but not drum tight) and then spray with a product like 505 Adhesive Spray. Mark the centre of the area you want to embroider and place it gently on top of the sprayed stabilizer, then make a cross which is about 5cm across and down to help ensure that you are placing your garment straight. There are also various brands of sticky stabilizers on the market, which would serve just as well as the spray adhesives. With nice firm cottons, you can use a medium stabilizer in the hoop and “float” a loose piece underneath. In the United States, redwork history can be traced back to the late 1800s. Redwork embroidery was very popular across America. Usually it was used in coverlets and spreads as well as household linens. The coverlets were thin, consisting of only a top and bottom with no filler and were used in the summer. At first red thread was used for this type of embroidery because the method of dyeing the "red" color resulted in a color fast thread . Other colors would run when washed and did not hold up with repeated washing. By the 1920s, dyes improved and other colors became available. Penny squares were a very popular method of making redwork quilts. Each square had a design stamped on it and could be bought for a penny, hence the name. Some of the antique redwork quilts available today were made from penny squares. There was a variety of designs available. These included children, animals, nursery rhymes, flowers, fruit, vegetables, or designs of historical importance. These designs were worked in a variety of stitches. The outline or running stitch were used the most. Other stitches included cross stitch, chain, stem, and double running. Redwork designs are very popular today. The popularity of redwork, which declined in the 1920s, has been revived and they are again a very popular form of embroidery amongst the modern embroiderer. Now machine embroidery is used to re-create traditional penny squares, quilts, and to decorate a large number of household and childrens items. Perfect for quilts and stippling. Modern Redwork Embroidery designs are generally outline designs and are not filled in with various embroidery fills. This makes them very quick and easy to sew out, and perfect for stippling in quilts. Try using a layer of batting on top of your stabilizer when stitching out the redwork design. This will give you a fabulous embossed or quilted look. Experiment with different colors. Modern Redwork embroidery designs these days are sometimes known as Blackwork, Greenwork, or Bluework depending on the thread color used to sew them out with. Try experimenting with your various threads, and even use variegated threads for different results. Generally, a darker color on light fabric shows the design better, but you can try the reverse and sew out the design in a light colored thread on dark fabric for some stunning results, like gold thread on navy blue satin cloth. Try heavier threads, or diferent textures. Some redwork or Stipple designs are perfect to sew out in heavier weight cotton threads as there is no fill detail in the design, and the designs can handle a heavier thread without becoming too dense. Quilting is a rich and honored tradition. Colors, fabrics, patterns, and designs reflect your artistry and your personality. Ensure you use a needle that can accommodate a heavier weight thread. Always test sew your design. If you experiment with different colors, thread weights, or textures of threads or batting, always ensure you test-sew your design first to ensure it will work and give the finished result you would like. As you are changing the reccommendations given by the designer for the threads to use, you need to ensure the embroidery design will sew correctly with the thread size and needle you are using before you sew it on your final project. Hand Embroidery has been done for generations and with the invention of modern machine embroidery designs, anyone can sew traditional heirloom designs very quickly and easily. Heirloom sewing is a specialized sewing often used in blouses, childrens clothing, and table linen. Cutwork and Lace Shaping - Heirloom Sewing often involves special lace placement and trims to create the Lace Shaping or Peek-A-Boo windows effect. Sewing cutwork embroidery designs involves embroidering the design, then trimming out the sturdier fabric from behind, giving you an elegant cutwork lace effect. It is basically the reverse of applique, as instead of adding applique fabric, you are cutting the base fabric away. Modern Heirloom Designs - Many of the embroidery designs that were hand sewn in the past, can now be re-created very quickly and easily by modern machine embroidery. The stitches used in the traditional hand embroidery, like simple outlines, crosses, or satin stitches are now digitized to re-create the vintage look. Tone on Tone Sewing - There are many beautiful "one color" or "tone on tone" embroidery designs available that you can use to sew out in soft whites, creams or ecru threads on natural linen fabrics to give the delicate "tone on tone" look. 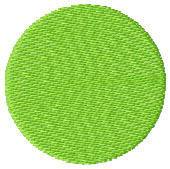 Any embroidery design can be sewn out in this "tone on tone" effect just by changing your thread colors. You can either use the same thread color to stitch out the entire design, or if it is digitized in different colors, you may like to use similar shades of the same color thread to give it a delicate subtle look. For example, try 3 pastel shades of pink for a baby girl's project. English Cotton Netting - Pre-wash your fabric. Dip in hot water, wring out excess water and dunk in straight liquid starch. Fill a bowl with just enough starch to cover fabric. Swish around and wring out excess starch. Let air dry until 80% of the moisture is gone and iron dry. Netting is perfectly stabilized and ready to use with Hope's Heirloom Embellishment embroidery designs. Heirloom Principals - Use a high quality 100% natural fiber fabric such as silk, linen, rayon or cotton when using heirloom techniques. Synthetic fabrics such as polyester have a memory to prevent wrinkles and are not suitable for heirloom techniques such as twin needle pintucks or wing needle stitching. Spray Starch - Spray natural fiber fabric with starch lightly and let it soak in for 30 seconds. Iron dry. Mist fabric (do not wet fabric) again and iron dry, repeat 3 more times. Use this method to stabilize fabric before doing any embroidery or decorative stitches (such as wing needle work). The only exception is when doing pintucks. Hooping Fabric - Place "Wash Away Wonder Tape" on the wrong side of your top hoop frame. Place a piece on all 4 sides and peel away the paper. Once you have drawn placement lines on your fabric, lay the hoop on top of fabric and the tape will keep the fabric from shifting while you finish hooping. Another good tip is to purchase a rubber mesh shelf liner at your favorite discount store. Lay underneath the bottom part of your hoop to keep it stable so it doesn't slide over the countertop. Creating and Removing Placement Marks - Use a blue water-soluble fabric marker (not a purple air-erasable marker) when drawing placement lines on your fabric. You can apply spray starch and heat from an iron to marked fabric without causing any damage to the fabric. Occasionally when pressing on purple air-erasable lines they may become permanent. When removing the blue marks, soak fabric in WATER ONLY. Occasionally detergent can cause a chemical reaction and the lines will not disappear. Free machine embroidery is the process of creating embroidery using a straight or zigzag stitch stitch without feed dogs in an ordinary embroidery hoop. Free machine embroidery is fun and easy but requires practice at first. It's called "free" because the hoop is controlled freely by hand rather than being fixed to the machine. Requirements are a sewing machine with a drop-feed control or a plate that covers the feed dogs - in other words, you have to be able to lower or cover the feed dogs so they don't feed the fabric, an embroidery or darning foot but some machines will quite happily sew without any foot at all, an embroidery hoop, fabric, thread, and thread for the bobbin. The procedure is to drop the feed dogs or cover them with a special plate. Place the fabric in the embroidery hoop so that the surface of the fabric is at the bottom of the hoop. It is very important to stretch the fabric in the hoop as tight as possible - as tight as a drum! The tighter the cloth the better the embroidery. When you place the hoop on the table the fabric surface should rest on the table with the right side of the fabric facing up. Put the embroidery or darning foot on. Place the embroidery hoop in the sewing area. Set the sewing machine for a straight stitch and have fun! Stippling by Free Sewing - Stippling is a similar technique and is used to give a quilted effect. A hoop is often not used at all, so it is really freestyle sewing. Typically you move the fabric so that the stitching forms wavy lines which evenly cover the fabric but do not intersect. You may need to increase the bobbin tension slightly. The rule is fast foot, slow hand. It takes practice. Stippled Embroidery Designs - There are many digitized embroidery designs available now specially created for stippling. They enable you to stipple designs in beautiful patterns, automatically without having to move the cloth by hand. You need to be able to place your cloth either in the embroidery hoop, or secure it on top of the hoop with adhesive stabilizer to sew out the stipple design. The hoop is then placed on your embroidery unit, and you embroider the design. Add batting for a quilted effect. Alphabet & Monogram Embroidery Designs are pre-digitized embroidery designs, either built into your embroidery machine, or found online and downloadable as a set. These are beautiful, detailed designs, but not usually scalable in size. They are embroidery designs in the shapes of letters, and can not be used in the lettering programs. These designs come in single large letters that you need to combine together either in your digitizing program, or by carefully marking out where you would like to sew them. There are an amazing variety of fonts and monograms available. Many of these alphabets are a work of art and not just a letter. They are very detailed embroidery designs. You can get letters in different themes especially to match your project. You will find hundreds of different designs available on our site. You need to be familiar with multiple hooping and design placement. You need to be familiar with design placement either in your embroidery software, or marking your cloth and multiple hooping to be able to combine more then one letter together. The letters are often 4x4" in size, so if you have a larger embroidery hoop, you can combine a few letters inside the hoop and sew them out together. Alternatively you need to mark your cloth where you would like to sew out each letter. Sometimes printing out pictures of the letters in an accurate size helps with the design placement. For best results, use the original size of the letters. When you purchase embroidered fonts and monogram embroidery designs, you are purchasing an embroidery design in the shape of a letter, and not a scalable font to use with your embroidery software. The same principles that you apply to your embroidery designs, apply to these letters. They can generally not be scaled in size very much without loosing the quality of the design, or making them too dense to sew out. For best results, you need to stitch them in the size you purchased them in. Most designs come to fit the 4x4" hoop size, but some are smaller and around 2x2" in size. Automatic Lettering Programs - Automatic Lettering Programs like Embird Font Engine enable you to digitize letters very easily, and scale them in size to suit your needs. You can often convert from true type fonts to letters with the click of a button on your computer. Huge range of fonts available either on your computer, or online, to convert to embroidery designs. This is the easiest way to have the widest range of fonts available, and easily add them to your design. All the good quality embroidery software programs include the feature to add lettering very easily, by just typing in the letters and changing your stitch preferences. This makes it very easy to add words to your embroidery designs. You can import your embroidery design into the program, add the words of your choice, save the design and embroider it out. It is very easy to convert fonts to embroidery designs. Many of these automatic lettering programs enable you to easily convert from open type or true type fonts to an embroidery design. Embird Font Engine is a very popular program to use for automatic lettering. Font Engine gives you many adjustable lettering parameters such as size, density, fill and outline modes as well as character layout and deformations. When finished, lettering is compiled into stitches and put into Embird Editor for final adjustment and saved in desired embroidery format. There is a huge choice of fonts available. Check to see if your embroidery software enables you to use true type or open type fonts. If so, you will find some true type fonts already on your computer under C:/Windows/Fonts folder and these can all be used with automatic lettering programs like Embird Font Engine to convert to embroidery designs. You will also be able to search for fonts online and either purchase or download free ones to use for your lettering. These Fonts are not embroidery designs, but are a digital font, recognized by many programs on your computer like Microsoft Word etc. Embird Alphabets - Embird Alphabets are a combination of letters that have been digitized specially for embroidery, but are scalable and enable you to use all the features of a lettering program. Some of the best quality, and most reliable fonts available to stitch out, specially when adding very small text. The Embird Alphabets are pre-digitized embroidery designs, but with all the scalable features of fonts available in software programs. They give you the best of both options. The Embird company has over 40 different alphabets available that can be used within the Embird program. You must have Embird to use these alphabets. You can trial the ABC of each alpahbet before you purchase it, to see how the letters work for you. The best thing about these alphabets is that they are pre-programmed and digitized to sew out beautifully. The characters are scalable in large scale (4,5 mm - 8 cm for "a"). We have found these are the most reliable alphabets to use for small lettering and the quality of the stitchout is always perfect. It is very easy to combine and change preferences. These alphabets work within the Embird software, so you can easily adjust many different fills, sizes, underlay etc. It is also very easy to write words with them, as the letters can be joined together within the embroidery software to form words. General Information - Freestanding lace is an embroidery design that is stitched onto a special stabilizer that dissolves in warm or cold water, leaving you with the freestanding lace. Only designs digitized specifically for freestanding lace can be sewn in this way, other designs will fall apart when the stabilizer is dissolved. Stitch Count - When you look closely at any fabric you will see the weave of the fabric which looks like a grid. Freestanding lace designs need to be digitized to support this grid system to ensure that they don’t fall apart when the water soluble stabilizer is dissolved. They generally have a higher stitch count for this purpose. Always read the instructions carefully to ensure that you are sewing out a freestanding lace design and are using the correct stabilizer, thread and needle recommended by the designer. There are many ways to digitize freestanding lace and it’s always best to follow the directions specific to the designs you are sewing. Each designer may be testing using different threads and stabilizers and the designs may not work on all dissolvable stabilizers. Stabilizers - here are many freestanding lace stabilizers available these days. You can get the so-called "laundry bags", badge master, vilene and many more. Daleen has found the best results are obtained when stitching on the water soluble vilene. It is a thin, non-woven, water soluble stabilizer which does not stretch or tear while stitching. She always recommends two layers be used at a time. A small design can get away with only one layer, but when you do full 4x4” or larger size designs, you will need to use two layers of Vilene for best results. You should always ensure the lace design you are purchasing is clearly marked FSL, or freestanding lace to ensure it will stitch correctly, and hold together when you wash the stabilzier away. At Secrets of Embroidery we have a huge range of freestanding lace designs available. Stitching FSL Tips - Hoop the dissolvable stabilizer as recommended by the designer, and then stitch out the design in thread colors of your choice. Daleen recomends you use two layers of Vilene for best results. Making Multi Colored Lace - If the design is a bowl or doily which has many different colors, you will want both sides of your finished lace to look fabulous. So you will need to use matching top and bobbin thread for each color. Simply wind a bobbin full of the same thread you use for the top and remember to change the bobbin color when you change the top color. Creating a Heavier Lace Look - Use the same thread type in the bobbin area to give your design a heavier, fuller lace look. For example, if you use 40wt Marathon thread in the top, use the 40wt Marathon in the bobbin area as well. Creating a Daintier Lace Look - For a more dainty lace look, use embroidery thread for your top thread and bobbin thread in the bobbin area. If you are wanting an even finer lace look, use bobbin thread in the top area as well. (PLEASE ask the designer first if the design would be ok to use bobbin thread with both top and bottom as sometimes your design might unravel in water if it has not been digitized for this purpose). Washing Out The Stabilizer - When you have finished stitching the design, cut away the excess Vilene and rinse the design under a running tap with warm water. Feel the design as you go, as you don’t want it to feel slimy – so rinse until all the Vilene has been dissolved. Making Firmer Lace - If you want a firmer design (for a design that needs shape, like Christmas Bells) don’t rinse all the Vilene out. Leave some in as it acts like a starch when dry and assists in keeping the shape. Finishing Off Your Freestanding Lace Projects - Each lace piece is finished off with a satin stitch outline. Some designs like Christmas Ornaments are ready to be used immediately. Just attach ribbon for hanging. Multiple Piece Lace Designs - Many freestanding lace projects require a number of lace pieces that are joined together to complete the finished project. Follow the directions included with your freestanding lace designs and sew out all the pieces of lace required. Use the zig zag stitch on your machine to join the pieces of lace together. Look After Your Lace - Never wash your freestanding lace items in a washing machine or tumble dryer. Hand wash only and do not rub, simply soak and press till clean. If it is an item that needs to be hard, add starch to the final rinse water and shape as it dries, by either placing over a mold or by using a hairdryer to dry the design and shaping with your hands as it dries. Tips For Getting The Perfect Freestanding Lace - If your freestanding lace designs fall apart after rinsing the stabilizer, check that you hooped the Vilene drum tight and there there is no way the Vilene could have slipped when you stitched out your lace. Make sure you used the correct thread in both the top and bobbin area. Make sure you used the needle the digitizer recommended. for example - a 75 needle. Problems With Larger Designs - Larger freestanding designs that have large filled areas are more likely to unravel at the edges or where the satin edge meets the filled lace area. This is because there are a lot of stitches and the stabilizer can sometimes move and stretch in the hoop. Many designers will digitize their lace to avoid this problem. However if you find your designs are unraveling, you can ask the designer to add some additional stitches that stitch first to stabilize the design. Digitizing Tips For Stabilizing Freestanding Lace - When making a round doily, first sew a circular, straight stitch outline around the shape. This stitching stabilizes the design, so when it is filled with stitches, the stabilizer does not stretch as much. The filled stitches should also be pulled right under (almost outside) the satin edge to ensure the satin edge is catching the filled stitches. The satin edge should always have good underlay as well. Daleen uses a double zigzag, as well as a center run underlay under all her satin edges to ensure they are well stabilized. All parts of the digitized freestanding lace design should touch each other like a chain, one piece connected to the other. This ensures they hold together when the stabilizer is dissolved. Paper appliqué is the same as fabric appliqué! 1. Use the same thread for the first three sequences. Sew the first sequence (the outline of the appliqué). This sequence tells you where to put the appliqué material. 2. Place your appliqué material (paper or fabric) over the outline. You may want to adhere this piece with double-sided tape or fabric adhesive. I like to just hold this piece in place until the first few stitches are sewn. 3. Sew the second sequence (same as the first sequence). This sequence tacks the appliqué material down. 4. Remove the hoop, and cut away the fabric or paper close to the sewn guideline. When using paper as the appliqué material, cut the paper away using an X-Acto knife or other sharp blade. Press hard enough to cut the top layer, but not the bottom layer! If you do cut through to the bottom layer, it will be covered by the stitching. 5. Place the hoop back into your machine and sew the third sequence. This sequence finishes the appliqué. Continue sewing the rest of the design. Click Here for a printable version of these instructions in .pdf format. Before you begin Applique - It is always important to pre-shrink project fabric. It is doubly important to do so when using appliqué designs. Natural fibers (rayon, silk, linen, cotton, wool) all reduce at different rates when washed. Man-made fibers may also reduce, although usually very slightly. If an appliqué fabric reduces more or less than the project fabric underneath it, a wrinkled, puckered appearance will be the result after the first washing. Appliqué designs will look better longer if the appliqué fabric has been adhered to the background material. This is easily accomplished using fusible webbing on the back of the appliqué fabrics. Fused appliqué fabric will not sag or wrinkle. Most fabric intended for appliqué should be backed with fusible webbing, with a few exceptions. Faux fur, vinyl, leather, fleece or any specialty fabric that will melt or crush during contact with heat should not be fused. A mini-iron may be used to fuse the appliqué fabric directly in the hoop. The fabric should be fused after trimming and before stitching the final appliqué satin stitch edging. Place the hoop on a hard, flat, heat protected surface while doing so. Protect the appliqué fabric with a pressing cloth while ironing. Choosing fabric for your Applique - The sky is truly the limit when choosing fabrics for appliqué. The only fabrics to avoid are those that tend to ravel badly, such as satin faced brocade. * One of the joys of appliqué is that many different choices are available, often within the same piece of printed fabric. Small portions of very large printed fabric work great for little appliqués. Layering sheer fabrics over other material will achieve interesting results. Give a plain cotton fabric a bit of glimmer by laying a piece of sparkle tulle or organza over it. Bold colors will be softened with a layer of chiffon or silk organza. Fine leather, vinyl, plastic (such as flannel backed table cloths) fabric paper, wide ribbons and woven trims all make great appliqué fabrics. Don’t forget to check out your linen closet, your closet or even your husband’s closet for inspiration. If you can’t use it, can’t or won’t wear it and it is too good to throw away, give it a new life in an appliqué! Fabrics that tend to fray* may still be used with a little special handling. Lay a piece of sheer fabric (such as silk organza or fine tulle) over the fabric when placing the appliqué fabric into position. The overlay fabric will help prevent delicate fibers from fraying later. Back light colored fabrics with interfacing or white fabric when appliquéing on dark backgrounds. Fuse both layers together with fusible webbing then apply another layer of fusing to be used while ironing the appliqué to the background. This step is also helpful when placing a light colored appliqué over a darker colored appliqué. The right scissors make appliqué trimming a snap. Use small, very sharp scissors with curved blades. Bonnie is often asked, “How do you keep designs from puckering?” Proper stabilizer and hooping techniques is the simple answer. For example, she always uses a cut away stabilizer on knit fabrics. However, let’s discuss hooping for a moment. Bonnies favorite hooping method is to lightly spray the stabilizer with temporary spray adhesive, lay the fabric on the stabilizer, and hoop both stabilizer and fabric together in the hoop. Make sure your fabric is drum tight. Then, and here’s the best part of her tip, she uses a basting stitch to secure everything together. Some machines have a basting stitch function on them and some software programs have the feature built in. Bonnie has included some free basting files for those of you that don’t have either of the options listed above. It’s best to use a basting stitch that’s the same size or slightly larger than your design, however, the basting files available here for free download work well too. Click on the buttons to the right, to watch the free videos in mp3 format. You will need to use your back button to return to this page after viewing the video. General - Rayon and polyester are the most popular embroidery threads available. Always choose the right type of thread for your project as recommended by the designer. Balance your top and bottom thread tension to get best results. Choose a good quality bobbin thread. Breaking thread is a common and annoying problem. Some recommend spraying the thread with a silicon spray to help with this. Rayon - Rayon is the one of the most favored threads amongst professional embroiderers. It is a soft thread, available in great colors, and suitable for all forms of machine embroidery. Rayon thread holds up well with high-speed stitching without breaking or fraying and it also consistently performs well. It is easily available in many embroidery stores and in a wide range of solid and variegated colors, as well as in a "twist" thread composed of two or more solid colors twisted together to form a single strand. They are available in a light 50wt, standard 40 wt. and a thicker 30 wt. Rayon thread is soft, has a high sheen and is relatively heat resistant but has less elasticity than polyester, is not as colorfast, strong or durable. Polyester - Polyester embroidery thread is the popular and economical choice. It is available in a wide assortment of colors, and your results will be similar to that of rayon. The benefit of polyester is that it won't shrink, fade or bleed. Like rayon thread, polyester thread is strong and won't easily break or fray. Polyester thread is synthetically produced from polymer resins. It can be made with a matte finish to look like cotton, with a medium sheen, or high sheen finish to look like rayon or silk. Trilobal poly is a higher quality polyester with a sheen equal to rayon and is lint free. Due to its strength and color fastness polyester is becoming one of the most popular embroidery threads available these days. There are three types of polyester thread: Spun poly: fiber staples spun together and looks like cotton, Filament poly: continuous fiber and Trilobal poly: high-sheen continuous fiber. Looks like rayon or silk and is lint free. Nylon - A synthetic thread occasionally used in the form of a monofilament clear thread or as a textured fuzzy (woollie-like) thread. The negatives far outweigh the positives of nylon. Use only with caution. It is very strong with a low melting temperature, is not heat resistant or colorfast - also it becomes brittle through laundering and exposure. Cotton - The only 100% natural fiber thread made for high speed machines. Cotton has various finishes, each providing specific results. Cotton embroidery thread is very often overlooked by automatic embroidery machine users. But the fact is that it performs beautifully in embroidery machines and has a lovely, soft sheen. Additionally, cotton thread is available in weights up to the very fine 100. Cotton threads are soft and durable and easily adjust to shrinkage. Cotton is a natural fiber and is easy care and available in various thread weights. It is not as strong as polyester, has a low sheen and can be linty. Mercerized:The thread is treated in a solution, causing the fibers to swell. This allows the dye to better penetrate the fibers and increases the luster of the thread. It also increases the strength of the thread. Gassed: The thread is passed through a flame at high speed to reduce the fuzz. Glazed: The thread is treated with wax or other chemicals, then polished to create a higher luster. Although the result is a glossy, hard finish which protects the thread, the glaze does rub off and can gum up the needle and machine. OK for hand quilting but not recommended for machine use. Cotton-wrapped poly: Most cotton-wrapped poly threads are approximately two-thirds poly and one-third cotton and will therefore resemble the characteristics of poly more than cotton. A mixed-fiber thread is not necessary. If cotton is too weak, use poly. If you're worried about poly being too strong, use cotton. Metallic - The quality of metallic thread ranges from very high to very low. A good metallic thread does not require a lubricant. Quality metallic thread has a nylon core. A nylon core offers the most strength and resists tangling. Polyester and rayon cores are inferior. It also has rice paper construction. This adds strength and cohesiveness and makes the thread more soft and supple, reducing the wiry feel. It also reduces tangling. Good metallic threads have an outer coating. Lower quality metallics have no outer coating. This means the metal foil rubs against the needle, creating friction and heat, resulting in discoloring and shredding. A good metallic has an outer coating which reduces friction and acts as a protective layer. Laminate or flat threads - Produced by bonding layers of polyester together and slicing to a desired width. Available in either 2 ply (weak) or 4 ply (strong) construction. It is colorfast with brilliant, reflective, colors. Can be produced in a hologram effect. Heat-resistant and able to be ironed, it does not require special handling for good results. Silk threads - absorbs dye more brilliantly than any other fiber, and is truly the top of the line when it comes to specialty threads. It sews smoothly without breaking, and offers the embroiderer the strength of polyester and the stability of cotton. It also has a distinct sheen unmatched by any other thread. Silk threads are available in a variety of sizes and colors, but the 30 to 50 wts. are appropriate for machine embroidery. Silk thread is more costly, but well worth considering. We have all heard the stories about polyester cutting the fabric. The stories we hear are mostly legends handed down from earlier generations. Back in grandma's time, most of the available thread was cotton and the quilting was usually done along the pieced seams, or "stitch in the ditch." Times have changed and machine quilting has opened up a new world. No longer is quilting done only along the seams. Machine stitching can enhance the beauty of the quilt by adding intricate and complementary designs throughout the entire quilt. Machine quilting does not add stress to the quilt. The stress points remain in the piecing. Some say that polyester thread is too strong and will tear the fabric. If the fabric ever tears as a result of heavy use, most likely it will tear at the seams. The seams are the true stress points of a quilt, not the machine quilted areas. The solution is to piece with cotton thread, thereby matching the nature of the fabric fibers with the thread fibers. This equalizes the stress points of the quilt. Then, use other threads such as metallics, polyester, and 20 or 30 wt. cotton to decorate and enhance the quilt by creative quilting. If a polyester thread is used in decorative quilting, it will not tear the fabric under normal or even heavy use because there is minimal stress away from the seams. Bobbin thread - is not always considered a factor when troubleshooting problems. Since the bobbin thread does not go through a needle, there are fewer problems with bobbin threads than with top threads. Most common bobbin threads are cotton, spun poly, cotton-wrapped poly, and filament poly. Cotton - Quilters love it. It keeps the fiber content consistent with the fabric, batting, and top thread. For embroidery, it is OK but on dense fill designs, cotton bobbin thread will result in a stiff design. Beware that lower quality cottons produce more lint which in turn requires more frequent machine cleaning. Choose a good quality bobbin thread. Spun poly and cotton-wrapped poly - stronger than cotton. Many machine quilters like this thread due to it's strength. Like cotton, it does not have a slick surface and sometimes tends to grab the top thread too tightly creating uneven stitches and top thread breakage. Filament poly -this thread has a shiny appearance and is virtually lint free. It can be thin and lightweight, yet strong. Embroiderers love this thread since it creates a soft backing, even on dense designs. Many machine quilters like using a filament poly thread in the bobbin. Due to it's slick surface, it works well with metallic threads and heavy cotton threads. The slickness of the filament poly thread does not snag or grab the top thread. If you've had trouble using metallics or heavy cotton threads, a slick bobbin thread may solve some problems. Compatibility - Approximately 60 percent of the machines on the market are compatible with the standard L size prewound bobbin. The debate continues but the prewound users are winning. Although some machine manufacturers warn against using prewound bobbins, it is a fact that many of the educators on their staff do use them. The risk of prewounds is in the thread quality. Make sure you use a good quality thread and clean the bobbin area regularly. The advantage is in saving time and not having to wind your own bobbins. Prewound bobbins hold up to three times more thread than self-wound bobbins. Why should I use prewound bobbins when I can wind my own? Good prewound bobbins are wound by high tech machines which provide a smooth, uniform wind. The result is much more thread on the bobbin than a self-wound bobbin. Whether you're in the middle of an embroidery design or a quilting or sewing project, having to stop to change the bobbin is always an inconvenience. What does L style and M style mean? - These are the two most common sizes of prewound bobbins. Some longarm machines (A-1, Gammill, Handi Quilter, Homesteader, some Noltings) use the M size, which is the larger bobbin. Some longarm machines (APQS, some Noltings) use the L style bobbin. Approximately 75% of home machines use the L style. The trend is moving toward more compatibility as most home machine manufacturers are making their machines compatible with the L style bobbin. Should I tear off the cardboard sides? - If the bobbin fit is too snug to accommodate free rotation, take off the cardboard sides. This will not affect the function of the bobbin. If your machine has an automatic bobbin sensor, leaving on the cardboard sides will make the sensor think the bobbin is always full and will therefore not provide a low bobbin warning. The solution is to either tear off the cardboard sides and use the sensor or to leave the sides on and sew until the bobbin thread runs out. Is there a difference between plastic sided and cardboard sided bobbins? - Either type is fine. Plastic bobbins are reusable; cardboard bobbins are disposable. Because the plastic-sided bobbins are so smooth, they may continue to spin even after your machine stops and cause backlash. Some machines seem to work better with the cardboard-sided bobbins because the cardboard sides provide more friction and backlash is usually not a problem. If it is, the bobbin tension may need to be tightened. Should I use a polyester or a cotton bobbin thread? - It's a matter of personal preference. Polyester has very little or no lint. Cotton prewound bobbins will throw off lint and will require more frequent machine cleaning. My dealer told me not to use prewound bobbins. I've even heard they will void my warranty. - Today, almost all major machine companies sell prewound bobbins. Weight - The most common embroidery weight thread is 40Wt and suitable for most embroidery designs. Sometimes when designs are too dense, you can try using a lighter 50wt thread. Bobbin threads are generally finer and are often 60wt. The smaller the number, the heavier the thread. The higher the number, the lighter the thread. Common thread weights are 30 wt., 40 wt., and 50 wt. Denier. Weight (in grams) of 9000 meters of thread. A larger number indicates heavier thread. A number such as 120/2 equals two strands of 120 denier thread for a total of 240 denier. Most embroidery thread has a denier measurement. However, this measurement traditionally applies only to synthetic threads. Comparative note: a 40 wt. thread approximately equals 240 denier. Tex - Weight (in grams) of 1000 meters of thread. 40 wt. = 240 denier = tex 25. Importance of Needles - One of the most significant parts of today's home sewing/embroidery machines is often the least appreciated and most obscure - the needle. A sewing machine needle is a slender strand of metal, shaped to precision, that delivers thread to the machine to create a stitch. We spend thousands of dollars on the most advanced machines, acquire the best digitized designs, use the most lustrous thread, and the most beautiful fabric to produce our projects. But all too often this is all for naught because we either use a old, worn, damaged needle or we use the wrong needle for the fabric. Changing needles - Needles can be damaged by normal use. You don't have to hit a pin while sewing to damage your needle. They can become dull, bent, damaged or get misshapen eyes through normal sewing. All these contribute to frustrating thread breaks and a frayed look on your finished projects. The best advice we can give is this: When you start a new project, start with a new needle. It's the least expensive part of a superior finished project. Overall, a clean, well functioning needle will result in sharp, well-shaped stitches. Needles are inexpensive and easy to change. Keeping a good needle in your sewing machine is one of the easiest, least expensive ways to improve your embroidery and sewing projects. Some designers recommend changing your needle after every ten hours of sewing time. Sharp vs. ball point - Needles fall into two primary categories for embroidery - ball point and sharp. It is important to use the correct needle. Ball point needles are designed to alleviate making holes in knit or loosely woven materials. The cross fibers which constitute the knit or loosely woven materials are relatively far apart as compared to those in tightly woven materials. If a knit strand of thread is cut with a sharp needle, it produces a hole that will enlarge when the loose fibers pull back from the cut. To prevent this, the ball point needle is designed to push aside the individual strands of the knit. This assumes that the ball point needle point is in good condition. If you notice rough edges on your embroidery or other developing irregularities, it is time to change to a new needle. Sharp needles are designed for woven fabrics. Because of the tightness of the weave, individual cut fibers will not pull away and make holes. For this exact reason it is important not to use ball point needles on wovens. The blunt force of a ball point will tear through the fibers and actually pull them in the process, resulting in uneven, irregular embroidery and damage to the fabric. Sharp needles can be used on all wovens as well as dense fabrics such as leather, vinyl, canvas, etc. Ballpoint - The ballpoint needle has a rounded point of varying degrees. Its primary application is to sew on knit type fabrics. The rounded tip slips between yarns rather than cutting them. This prevents broken fibers and the attendant unraveling. Denim - The denim (jeans) needle has a very sharp, acute point with a slender eye and a strong shaft. The sharp point is necessary to penetrate heavy fabrics like denim and canvass. The slender eye holds the thread in place for proper loop formation. The strong shaft prevents deflection of the needle and insures accurate needle placement for stitch formation. Embroidery - The embroidery needle has a sharp point, a large eye and a special scarf to protect specialized decorative threads in embroidery. It also has a shorter point-to-eye length to enhance embroidery applications by ensuring extra clearance between the needle point and the embroidered article as it moves for succeeding stitches. Leather - The leather needle has a wedge shaped point which gives it the piercing strength it needs to penetrate heavy fabrics like leather and vinyl. The needle makes a very clean hole in the fabric, so mistakes are costly. Metallica - The Metallica needle is specifically designed for metallic threads. It has a large, elongated Teflon(r) coated eye, larger scarf and a larger groove to protect the more fragile metallic threads during stitch formation. The Metalfil needle has an elongated, coated eye, fine shaft, and a medium sharp point. Quilting - The quilting needle has a tapered point for stitching through multiple layers and across seams. The shape of the point minimizes damage to the quilting fabric. Microtex - This needle is sharper than the universal point with a more slender shaft. It is used primarily on fine wovens and for heirloom sewing on very fine fabrics and for synthetic suede. Topstitch - The topstitch needle has an extra large eye and a much deeper groove for use with either heavier fabrics and/or heavier threads. It can even accommodate doubling of threads for more pronounced stitching. Wing Needles - A wing needle is typically used for various heirloom sewing techniques. It is also called a "hemstitching needle". It has large flanges on each side of the shank which are used to create holes in tightly woven fabrics such as linen or cotton batiste. The two most common stitches that are used with the wing needle are "Entredeux stitch" and "Pinstitch". These stitches can be used to attach heirloom lace to linen or batiste fabrics. Normally you would use a light weight tearaway stabilizer underneath the stitches, an open toe presser foot and spray starch on the fabric. Some machine embroidery designs use wing needles to create dainty holes in linen fabrics. Needles range in size from very fine 60/8 to a heavy duty needle 120/19. Most needles use the two number measuring system. The higher number relates to the metric system and defines the needle shaft diameter in hundredths of a millimeter. The lower number relates to the system in the U.S. and is an arbitrary number also used to indicate needle shaft diameter. Shank - The shank is the part of the needle that is inserted into the sewing machine. The shank is the heaviest part of the needle and is designed to minimize needle movement by attaching it firmly to the needle bar. Shaft - The shaft is the narrow portion of the needle that supports the functional parts of the needle. Needle sizes refer to the diameter of the shaft. Groove - The groove protects the thread by hiding it as it passes through the fabric on its way to join with the bobbin thread. Some needles have exaggerated groves to protect the thread when sewing on particularly dense fabric. A needle that is too fine for the size of thread used will result in inconsistent stitches and broken threads. Eye - The eye of the needle is the hole through which the thread passes. As the size of the eye increases, the size of the shaft increases to support it. Point - The point of the needle is a primary distinguishing feature in needles. Points can be sharp or ball, or a hybrid of both. The angle of the point can be slender or acute. The point can be centered or eccentric. All are designed for a specific purpose and all give the operator unique applications. Scarf - The scarf is the cut away portion on the back of the needle just above the eye. This area accommodates the hook mechanism as it rotates past the needle to engage the thread loop formed by the lifting needle. The shape and position of the scarf increases the consistency of stitching with various threads and fabrics. Needle breakage - Causes: timing needs adjusting for needle and hook point, needle in machine incorrectly, bent or dull needle. Thread pileups on back of fabric - Causes: tension adjustment needed, machine incorrectly threaded. Stitching not following pattern outline - Causes: bent needles, loose hoop in frame. Flat stitching - Causes: tension tightness, topping film necessary on fabrics with a pile. Looping - Causes: tension adjustment needed for tight fabric weaves, digitized with too many stitches. Pigtailing - Cause: Top tension too tight. Skipped stitches - Causes: wrong bobbin timing, incorrect needle size. Puckering - Causes: tension too tight, backing not hooped the same tension as fabric, fabric hooped too tightly, needles not sharp enough, density of design too thick and needs to be increased in size slightly. Getting the perfect stitch is the goal of all sewing - It is fine to use different threads in the top and the bottom, whether they be different fiber types (for example, cotton and polyester) or different thicknesses. Adjustments for these differences are made with the tension settings, usually to the top tension, but occasionally to the bobbin. Machines differ in tension settings from brand to brand. Some machines seem very eager to please and they love everything we do. Other machines require lots of attention and extra training. Most machines are somewhere in the middle. Even within brands, there is some variance from machine to machine. Just like a dog, if we learn how to train or adjust the machine, it will serve us well and bring much happiness. An untrained machine (and dog) can cause more frustration than joy! If adjusting your top tension doesn't work, you may need to loosen your bobbin tension - If you have experienced problems running decorative threads and have adjusted the top tension every possible way and still cannot get good results, the solution might lie in the bobbin tension setting. For example, if the top thread is breaking because the top tension is too tight, it is necessary to loosen it. If you loosen it to the point where the thread does not break, but the top thread then loops on the back, the top tension is now too loose. This is a common problem with some longarm machines. - Neither of these solutions work and adjusting the tension settings in between these two extremes doesn't work so what can we do? The problem is that the top tension and bottom tension are too far out of sync so no matter what we do to the top tension, it will not solve the problem. In order to fix this, we must loosen the bobbin tension. Many of us were taught to NEVER touch the bobbin tension. That was when thread choices were very limited and decorative threads hadn't yet been invented or used on high speed and longarm machines. Times have changed. How to change your bobbin tension - If you can thread a sewing machine, you can adjust the bobbin tension. There is no need to spend money on a second bobbin case. With a permanent marker, put a dot where the tension screw is now pointing to so you can always return to the original setting. Then, with a screwdriver and thinking of a clock, make adjustments by turning the screw equivalent to what a 10-15 minute movement would be. Counterclockwise loosens the tension (the most commonly required adjustment) and clockwise tightens the tension. Remember, "lefty loosey, righty tighty". For longarm machines, the bobbin tension should be loose enough that if you hold the bobbin case in your left hand and pull the thread up with your right hand, the bobbin case should not lift off your left hand. The old "4 inch drop test" is gone. Now, after having loosened the bobbin tension, any adjustments you make to the top tension will be more effective because the top and bottom tensions are more in sync. You should be able to pull the thread through the needle fairly easily without feeling much tension. You have now been given permission to adjust the bobbin tension! It will make a huge difference. Preset - Sewing machines are factory preset to have the top and bottom thread form even stitches. If the top and bottom threads are identical in fiber and weight, adjustments should not be necessary. However, if we use cotton on top and poly underneath, or metallic on top and poly underneath, or a heavy thread on top and a thin thread underneath, it is necessary to adjust the tension settings. It is fine to use different thread types and weights on the top and bottom. Tug of War - Think of the top and bottom thread as having a tug of war. If the threads are identical and you are sewing on a single layer of fabric, both sides have equal strength and the result will be a draw. The sewing should therefore produce perfectly even stitches with no top thread showing underneath and no bobbin thread showing on top. However, in the real world, the teams are rarely equal. We use decorative threads on top. We often use different fibers for the top and bottom threads. We also add stabilizer or batting. Sometimes we might use a cotton bobbin thread and other times we use a polyester bobbin thread. All these factors make it necessary to adjust the tension for each project. By adjusting the top tension either up or down, we are able to add or take away strength on the top thread team to equalize the tug of war battle. Considerations - Here is a list of things that affect stitch results: Batting - This adds drag on top thread. Cotton batting tends to grab the thread more than poly batting, adding more friction on the thread. Fabric type - Dense fabric puts more stress on the thread. Top thread thickness and type - Metallic is less flexible than cotton or poly. Poly is stronger than either cotton or rayon. Bobbin thread type - Cotton bobbin thread tends to grab more than a silk-like filament poly. Sometimes grabbing is preferred and sometimes it causes problems. A silk-like filament poly thread (not spun poly) in the bobbin will work better with metallic or a heavier cotton and spun poly thread because its silk-like finish acts almost like a lubricant, sliding nicely with the thread. Brands - Embroidery designs are created in many different brands of embroidery programs like Brother, Husqvarna, Artista, Pfaff etc. When designs are converted from one format to another, the thread colors used in one format are often not compatible with the thread colors another format uses. When this happens, the colors shown in your embroidery design may look rather unusual and not like the original image of the design displayed on the website. Don't worry, this is normal and there are many different ways you can make it look correct. Color charts are often included with your designs - When you order designs from the Internet, you will generally receive a color chart to use with your designs which gives you a guide of the thread colors to use. You should follow this color chart, rather then the color sequence of your embroidery design file. The color chart should be included inside the zipped file downloaded with your embroidery designs. Some embroidery programs can't read the color charts, so you have to ensure you are viewing the contents of the zipped file outside of your embroidery program. Many of the latest color charts include a list of the color names, or picture of colored squares as the guideline, instead of the brand of thread. This makes it easier for you to choose the matching color from your own thread collection. Thread conversions - Sometimes the color charts are brand specific and refer to a particular brand of embroidery thread the designer used. You may use a different embroidery thread. If so, you will need a thread conversion chart. There is a list of different thread conversion charts available further down this page. Use your embroidery software to work out the colors for your design - If you can't find the color chart with your embroidery designs, don't worry - you can easily work out what colors to use with your designs. Every embroidery program should give you the options and tools to enable you to change the colors of your design to the ones you want to use. It's easy to change colors using Embird. This great conversion program enables you to make many changes to your designs before you sew them out. If you don't have Embird, we highly recommend you download the free trial and give it a go. Each brand of machine has its own pre-programmed embroidery cards with designs on them which you can buy ready made. These vary from machine to machine, but for some brands they are as much as $100 each. The designs on these cards are very well tested so you can be sure you get good quality embroidery designs. However, they are also very expensive compared to the thousands of designs available online today, and you are limited to the collections released by the brand of machine you use. 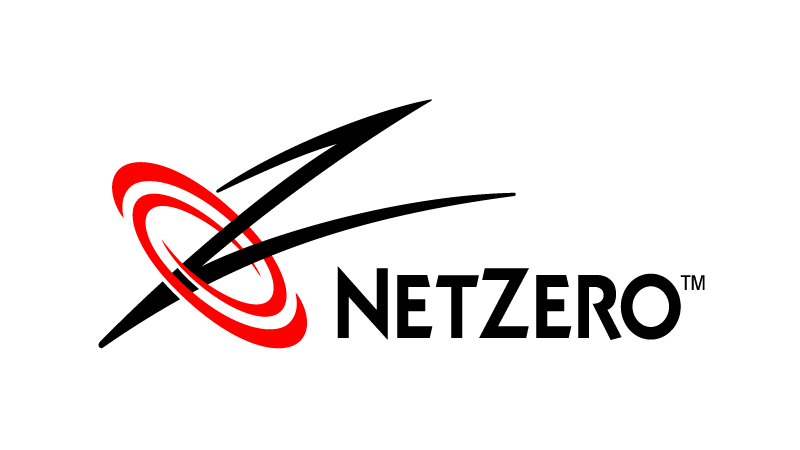 An Internet Connection on your computer so you can browse online and find designs you like, either free or for purchase. An Email Address so you can order designs and have the order confirmation, download links etc. sent to you via email. An Embroidery Software Program on your computer so you can view the embroidery designs after you have downloaded them. Each brand of machine has its own software specific for the design format it uses - alternatively you can purchase a generic software like Embird that can read many different design formats. Hardware to Transfer Embroidery Designs from your Computer to Embroidery Machine. There are two main methods used to transfer designs from your computer to machine. The original method requires a reader/writer box and read/writable card. This can either be brand specific or generic like the Ultimate Box hich can be used with different brands of machines. All the latest machines eliminate the need for a reader/writer box and card and enable you to transfer designs from your computer to your embroidery machines with a floppy disk, usb thumbdrive or connection cable. Compatible Software and Hardware for your embroidery format and machine. Many of the reader/writer devices require a specific software to write the designs to your blank embroidery cards. Some brands of embroidery machines like Artista and some Husqvarna models require you to use their brand of software to convert designs and transfer them to your machine. This means you have to purchase their software if you want to be able to use all the designs online, and convert them yourself if they are not available in your format. We advise you look into the costs of the software and hardware needed for your machine before you purchase it, so you know if it has to be brand specific to support your embroidery format, or if you can use some of the cheaper generic options available. Once you are familiar with the many types of embroidery designs available out there, you may want to create your own embroidery designs. You will need digitizing software to be able to do this. Again, each brand of embroidery machine has their own digitizing software, or you can use a generic program like Embird to create your own embroidery designs. If you are not using brand specific software to create your design, you will need to convert it from the format it was digitized in, to the embroidery format you need. Embird can convert to most embroidery formats. There are digitizing tutorials available online to help you learn to digitize in a very easy step by step way. Before you even begin I would suggest that you create some folders in your hard drive to put your embroidery designs into. It makes life a LOT easier if you have folders for each type of design you have. We suggest you begin with a main folder called "Embroidery” within which you can have many sub-folders (a folder within a folder). The folders inside Embroidery could be named flowers, children, alphabets, animals, etc. You can put as many folders as you want inside your main embroidery folder. We have a system of pre-named category folders that you can download. It corresponds to our website categories and sub-categories. It will unzip into an array of empty folders and sub folders, all named. This is a convenient way to organize your embroidery designs. If you are working on velvet, courdory, chiffon, organza, crepe, organdy, and other lightweight fabrics hoop them gently to avoid marks. The simplest way to protect the fabric is to place a buffer between it and the hoop. This buffer can be fabric, backing, or even tissue paper. Some reccommend you wrap the inner ring of your hoops for any embroidery on delicate fabrics. This will avoid snagging the goods, stops the fabric slipping and will cushion the fabric, avoiding a contact shine or deeper hoop impression. You can use bias binding or any soft gauze or tape for this. Alternatively, it is even better if you can avoid hooping the fabrics at all. Another option is to use a sticky backing. You place this in a large hoop and peel off the paper backing exposing the sticky side. Position your piece of fabric and press it onto the exposed area of the carrier. Another alternative backing is a wash-away stabilizer. 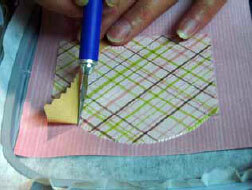 To use this technique, hoop a piece of water-soluble topping both under and over the area to be stitched. When the project is completed, simply remove the topping and backing by rinsing the fabric. Hoop the fabric and attach the hoop. When embroidering on sweat-shirting or any other fabric which is puffy on the right side there's the danger of losing your work. In other words it can sink into the pile of the fabric. One solution is to use a piece of wash-away solvy, dry cover up or melt-aways on top and remove it when you have finished. We suggest you use an iron-on stabilizer on the back of the towel to keep it stable (one of the papery ones that you can peel away afterwards is best). Then place a layer of Solvy (washaway plastic film) or Dry Cover Up on top of the towel and then hoop all of this together. Once the hoop is on the machine slide a piece of tear-away under the hoop and start stitching. We get many requests on this topic, here is a link to Hoop-it-All, a product that lets you embroider on baseball caps, sleeves, baby, socks and more! There are a few excellent spray adhesives on the market which work very well and do not clog up your machine. The most common use for spray adhesive is for appliqué. If you have a paper, cardboard or even a plastic pattern for your applique, you can use spray adhesive to keep your pattern secure during cutting and placing. This allows you to spray the adhesive on the back of the pattern and place it on the right side of your fabric. You can also use a double sided fusing such as Vliesofix or Wonder Under. Spray adhesive can also be used to position garments or items that cannot be hooped. These can include caps, purses, bags, small items that are smaller than your smallest hoop. If you are using film for the top of the fabric stabilizer spray the film itself so that it will peel off without leaving much sticky residue on the fabric. Any time you are placing stabilizer on the top, or the side the embroidery is on, spray the adhesive on the stabilizer itself and not the fabric. Experiment with several sprays as some are much more sticky than others and work well for different applications. Look for spray adhesives that say 'repositionable'. There is no need to use the really expensive spray adhesives for most work. If you are having trouble with the stabilizer coming apart from the fabric, you can try spraying both sides lightly and waiting from 15 seconds to 5 minutes before bonding the two pieces together. Even if you are just spraying one side wait a little bit according to the product instructions, before bonding. Always place the material you are going to spray on a towel so that you can wash it after a few uses, or inside an old shoe box to keep the spray glue from landing on areas you dont want it on. At the end of your embroidery session or the end of the day be sure to turn the spray can upside down and spray to clean the spray tip – otherwise after a while it will clog and you can’t get it to spray again. If the can of spray does clog set it aside for about a week and use another can. It will dry out and become useable again. Spray tips can be soaked in turpentine for cleaning if necessary. To clean your hoops after they get a build-up of adhesive and lint use Goof-off or De-solv-it and a paper towel. These will remove the goo and not harm the hoops. Commercial embroidery plants have two goals: Sell a lot of work and do that work faster and cheaper than their competitors. Yet they must also maintain quality or they will lose to their competitors anyway. This means that they need a few tricks up their sleeves! Thankfully, the home embroiderer does not have to worry about speed. Yet we do worry about quality, and nothing is more disappointing than stitching out a beautiful design that looks awful after stitching. Puckers all around the design, lumpy, wavy fill areas, outline stitches wandering far from their places…sound familiar? As you have surely learned by now, stabilizer is an embroiderer’s best friend. How you apply that stabilizer though, is what brings out the best qualities in that best friend! Do not ever stretch the fabric in your hoop. Forget about drum tightness. A drum-tight-stretched fabric will relax when taken from the hoop and this will cause puckers and waves in and around your embroidery. Hoop the fabric firmly, do not stretch, but do not allow any wrinkles or sags to be there either. Cut a piece of stabilizer suitable to your fabric just slightly larger than your hoop. Place the stabilizer sticky side up to the bottom of your hooped fabric, thereby gluing the stabilizer to not only your fabric, but also to your hoop. If you feel that you need two or more layers of stabilizer under this design, cut them the same size as the hoop and slide them under the hoop after you have placed the hoop in the machine. My favorite spray adhesive is 505 Spray and Fix. It can be found anywhere embroidery supplies are sold. Any clean up necessary of oversprayed glue can be done with denatured alcohol. (Sold in hardware stores) It is a good idea to clean your hoops of any buildup from time to time using this alcohol. The reason I suggest spraying your stabilizer in a box is that it prevents overspraying onto something that you do not want glue on. I use a box with a lid that I can prop open just enough to reach my hand and the glue bottle into. Remember, always use the smallest possible hoop needed for the design, and always preshrink your fabric or garment. Try this commercial trick for yourself. I am sure you will enjoy the results! Heat-away stabilizers are special heat dissolving stabilizers that either melt away or disintegrate and brush off when you apply heat with an iron. They can be used as either a topping between the fabric and embroidery design, or as a light weight backing. Choose a heat-away stabilizer when the fabric is too delicate for a tear-away, too sheer for a cut-away, isn't washable, or when you're working with a special technique like making lace at an edge. Heat-away stabilizers are perfect for Decorative Stitching, Monogramming, Battenburg Lace, Cutwork and Edges, Lace, Buttonholes, 3D Appliqué, Special Effects, Delicate Fabrics, and Corduroy and Velvet. It is great when used as a topping when embroidering on fabrics with pile, as only the excess is melted away with the iron. This means the hidden melt-away will remain permanently between the embroidery threads and your fabric. This stops the stitching from sinking into the embroidered item even after many washes. Heat-Away Brush Off Stabilizer - Heat-away may be used on either side of your fabric. It turns brown with the heat from your iron. It brushes away very easily. Sulky heat-away is easy to see through so you can trace designs on to it for easy stitching. Perfect for any project where wetting or tearing would cause distortion to stitches or damage to your base material. Because it is woven and firm, it is easy to stitch on when creating machine arts. The stabilizer is not compatible with liquids. Melt-Away or Embroidery Trick Film - Melt-away is also known as embroidery trick film. It is a plastic, perforated stabilizer that grips the fabric, and can be either torn or melted away. Melt-away has a rough surface that grips the material, preventing slippage when sewing on it. Melt-away is a transparent film that does not show through the fabric. It's easy to use, it doesn't pucker, doesn't shrink and won't change the colour of your fabrics. It is only 0.07 thick, which allows the fabric to fall naturally without a heavy appearance when used as a stabilizer. When using meltaway as a backing you don't always need to iron the residue, simply tearaway as you would with a tearaway backing and leave in place. Melt-away can be easily removed or melted away with an ordinary non-teflon household iron - 120o C/230o F. Unlike heat-away, you MUST use brown paper between the iron surface and the melt-away plastic. The brown paper can be re-used as the melt-away will peel off the paper. Heat-Away Stabilizers vs Water Soluble Stabilizers - Heat dissolvable stabilizers are used where wetting or tearing would cause distortion to stitches or damage to the base material. They will disintegrate with a hot iron making it ideal for delicate embroidery and with tulle for machine embroidered lace. They can be used on top of fabrics, which should not be wetted, like corduroy or velvet to stop the embroidery design stitches from sinking into the pile and getting lost. When using heat-away stabilizers, parts of the stabilizer may be left on your project, as only the stabilizer with the direct heat applied to it will disappear. Wash-away stabilizers will completely disappear from your project when wet so are better for freestanding lace projects. Tear-away stabilizer - is designed for general machine embroidery and is suitable for most fabrics. It will tear away from your project once the embroidery is completed. Tear-away is quick and easy to use and popular for many different types of projects. It comes in various different weights and is available from many different suppliers. You can use one layer of tear-away, or multiple layers for a firmer stabilizer. Apply spray adhesive to your tear-away to make it adhesive. Choose a multi-directional or bi-directional tear-away for the easiest removal from your project. When buying your tearaway hold it up to the light. Check if the fibers run in all directions or predominately in one. Test the tearability by tearing in both directions before use. Ones that tear in only one direction are not as easy to remove. Tear-away is ideal for embroidering on any stable fabrics like light weight cottons, silks, canvas etc, Use it for sheer fabrics, as it can be easily removed at completion of embroidery. It is good for making in-the-hoop projects or any project you want to finish off quickly. Tear-away stabilizer is one of the quickest and easiest to remove. Iron-On Tear-Away - is excellent for medium to heavyweight knit fabric. For best results when ironing on, be sure to avoid stretching the knit. Iron-on stabilizers are preferred to stabilize knits so they won't stretch during embroidery. They are just like a normal tear-away, but become fusible when ironed on to the fabric. If you are using a stretch or knit fabric then stabilize with iron-on tear-away first and then treat as a woven. Make sure that the iron-on stabilizer is larger than the hoop so that the fabric will not stretch. You can mark your center lines on to the fabric to make sure that it is square when hooped. Iron-on, fusible tear-aways make it easier to keep the fabric and stabilizer on-grain during hooping without stretching or distorting the fabric. And they prevent any grain shifting that may occur during stitching, especially when stitching a large area. Avoid using an iron-on for tightly packed rows of stitches, because it will be difficult to remove. Tear-Away for Toppings - are used on top of some embroidery fabrics like velvet to prevent the stitches falling into the nap of the fabric. Dry Cover Up, and heat or melt-aways are suitable for this. Toppings are intended for use on top of, rather than beneath, the fabric in order to prevent stitches from getting lost in a dense nap or pile, ideal for velvets, toweling etc. Dry Cover Up is a permanent, plastic-like film tear-away that comes in multiple colors. This keeps the fabric from showing through the embroidery. Heat or melt-aways are non permanent stabilizers that can be used for toppings, but will dissolve when heated with an iron. Adhesive Tear-Aways - are the best for projects that are hard to hoop, difficult to hoop, or stretch knits. Adhesive Stick 'n' Peel is a sheet of sticky paper that you remove the protective paper from to reveal the adhesive. Stick 'n' Peel is an adhesive tear-away that is like a sheet of sticker paper. Hoop the entire piece of stabilizer, then remove the protective paper from inside your hoop. You can then lay the fabric to be embroidered over the top of hoop and smooth in place. The adhesive will keep firmly in place. Hydro-Stick is a product that is an alternative to self-adhesive embroidery where the needle "gums up" or you wish to avoid aerosol sprays. It is available in tear-away light or heavy weights and in a cutaway. It becomes sticky when wet and it can be repositioned. It is released when wet again. Hydro-stick lets you stick and secure articles that are difficult to hoop in the usual way. Use Hydro-stick instead of peel and stick backings and messy adhesive sprays. It leaves no gummy residue on needles, hoops or machine parts. It is an environmentally friendly, natural adhesive that easily washes off leaving no stain. You can re-moisten a few times to reposition your fabric if necessary. It is available in tear-away light or heavy weights and in a cutaway. It becomes sticky when wet and it can be repositioned. Adhesive Tear-Aways are Ideal for items too small to hoop like baby blanks, neckties etc, or difficult to hoop items like bags, napped fabrics like velvets and other items that may be ruined by hooping, velvets, towels, silks, knits, vinyl, leather and any material requiring a better hold, stretch knit fabrics that require stabilizing, so they don't stretch while embroidering, fabrics too thick to hoop, that wont enable you to adjust your hoop tension correctly. Use this stabilizer when positioning is critical. The adhesive holds the fabric firmly but it can be repositioned easily. Position the fabric according to the starting point that you have drawn on the fabric and then check your positioning using an outline of the design. If you are not happy you can reposition the fabric easily without needing to re-hoop it. When sewing a large stitch intensive design, use a few layers of light to medium weight tear-away instead of a heavy weight. You can then tear away each layer carefully from your design. When using more then one layer of tear-away, only hoop one layer with your fabric, and then place another layer underneath your embroidery hoop for greater stability. You can use a spray adhesive to help keep it in place. Tear stabilizer carefully away from back of embroidery design by pulling gently, and not too quickly. Be careful to not pull or stretch fabric. Spray one side of stabilizer with temporary spray adhesive to make it fusible so it will hold your fabric more securely in place. When used for in-the-hoop projects, sometimes little bits of stabilizer are left behind after tearing. These are fondly called fuzzies, pokies or wispies. You can use tweezers to pull these out, or a permanent felt pen the same color as your satin stitch thread to color over them. To ensure your embroidery won’t shift during stitching, pin the fabric to the stabilizer, carefully keeping the pins outside the embroidery sewing area. Alternatively use basting stitches. Only do this on fabric that won’t be marked by the pins or stitches. There are many different types of water-soluble stabilizers available on the market now. Before you could purchase these stabilizers, the home embroiderer would use old plastic dry cleaning bags, or hospital bags as water soluble stabilizer. Alternatively they would use thick plastic stabilizers available for free motion embroidery. When Vilene appeared on the market it was a true water-soluble fabric with the look and feel of a textile and not a plastic. It is one of the most popular dissolvable stabilizers available these days, but there are others just as good called Dissolve, Solvy, Aqua Film, Rinseaway etc. Water-Soluble Vilene - Vilene is a strong water-soluble stabilizer. Vilene keeps your stitches from sinking into high pile fabrics and is excellent for providing a stable surface for the embroidering of lace. You can hoop it either in front or behind the fabric to provide support while embroidering. Or you can hoop the backing only, and embroider directly on to it to create your own lace. Then just wash it away in water. Vilene is a soft stabilizer that feels like chux wash-cloth when dry. It is very strong and stable, requiring just one layer. Vilene is one of the original dissolvable backings and is European made by Freudenberg. Vilene is the prefered stabilizer to use for freestanding lace designs. You often only need a single layer to embroider a freestanding lace design or flower. Any design used for freestanding lace needs to be digitized specially so it will not fall apart when you rinse the stabilizer away. Always follow the directions given by the designer as to how many layers of Vilene you need to use. Aqua Film (Extra Weight) is also another option. Solvy Dissolvable Stabilizer - This is a Solvy backing, for use on the top of piled fabric such as towels, polar fleece etc. It washes away fully and easily. Solvy is an almost clear film, which is hooped with the fabric and once embroidered, will tear away easily form the sewn area, with the final pieces dissolved with a damp cloth or spray of water. Transparent Fabrics. As a stabilizer for transparent fabrics it is perfect. Place a decorative thread in the bobbin as well as the top and hoop both the fabric and the Vilene inside the hoop. Making Lace with Fabrics. Press or hoop tulle or organza between two layers of water soluble stabilizer, then embroider your lace design and wash away stabilizer and you will be left with delicate embroidered lace. Heirloom Work. Use Vilene when doing heirloom work with repeat rows of stitching as the stabilizer can be easily rinsed away. No more picking bits of stabilizer from behind the stitching. When stitching heirloom designs using tearaway remove the backing at each strip of stitching rather than wait till a panel has been finished. Towels. Place Solvy on top of piled fabrics such as towels, polar fleece etc. when embroidering on them. The embroidery design stays above the pile of the fabric, and doesnt get caught up in the pile. The stabilizer can then be easily washed away at the end. Delicate Fabrics. It can be used under delicate fabrics which could be damaged by tearaway stabilzier. Or where a soft result is wanted. Make your own Fabric Stiffener. All scraps of Vilene can be kept and dissolved in water to make a paint on, or spray on fabric stiffener for delicate fabrics. Can be used to stiffen organza and lighter weaves of silk to give it a bit more stability when handling. For heirloom work tucks are much easier to do if the fabric is stiffened first. When used like this it washes out really easily and will not damage the fabric or stitching. It does not mark with an iron like some plastic products will do. Badges and Patches. Use it for making badges or labels so that you do not have to worry about trimming the excess stabilizer from the edges. The badges can just be trimmed close to the stiching and then wiped with a wet cloth. This effectively seals the edges. Cutwork and Applique. It is ideal for applique and cutwork as there are no traces of stabilizer to remove from the small sections of open work. Use Aqua film (Universal weight) , Soluble Vilene or Rinsaway as a backing for cutwork or when you want all traces of the backing to wash out. Used in Replacement of Adhesives. Vilene can be used in place of adhesive stabilizer for fabrics that may be damaged by the adhesive. Place the Vilene in the hoop and then tack the fabric in place using a tacking stitch. It will not gum up the needle like some adhesive stabilizers do. Off-the-Edge Sewing. Vilene creates a stable surface when when stiching off the edge of a fabric for a lace trim etc. Free Motion Stitching. It has great strength for free motion stitching as a base for your sewing. It can be used for any free motion work but the only dissadvantage is that you cannot see through it. Trace designs on to it using a window as a light box. You can leave some of the stabilizer to stiffen your item by not rinsing all the Vilene away. Thread Painting. Threadpainting is a form of free machine embroidery where the design is ‘painted’ onto the fabric using various blendable and natural color threads. Heavy duty Dissolve stabilizer is a great base for this. Hoop Carefully. When hooping the Vilene use just enough tension to take the wrinkles out of the fabric. It is reasonably strong but do not pull too hard on it or it can tear. Use Hooping Aids. Some aids like Hoop Ease or non skid matting can really make a difference when hooping fine fabrics or Vilene. Make Sticky Soluble Stabilizer. Spray the wash-away stabilizers with spray adhesive to make it a sticky soluble stabilizer. This makes it easier to use for threadpainting, free sewing etc. Iron Sheets Together. Several sheets of plastic wash away stabilizer can be ironed together using a teflon pressing sheet (or Gladbake) for making stronger stabilizer. To remove all traces of the Vilene rinse it several times in fresh, warm water and then leave the design to soak for several hours to remove all traces of the stabilizer. For freestanding lace that may be very dense use warm water for soaking. If you want some residual stiffness you can reduce the soaking time to leave traces of the stabilzier in the design. Lace needs a good soak so that it will feel really soft against the skin. You can then use fabric softener to soften your lace further. Alter your Tension if Needed. When sewing dense designs such as badges (not freestanding) on Vilene you may need to reduce your tension slightly to get a better result as the design is being sewn out on very thin stabilizer. Cut-away stabilizer is available in many different weights from light to medium to heavy weight stabilizer. Poly-mesh and Hydro-stick are also very popular forms of cut-aways. are used for permanent stabilization, eliminating pulled or sagging stitches, providing excellent stretch resistance, remaining with the fabric for continued stabilization through laundering and wearing, not tearing when stitching dense designs and embroidering on any unstable fabrics or knits as they won't stretch when embroidering. Light and Medium Weight Cut-Aways - Light weight cut-away is for lighter knits and medium weight is for medium knits - two layers can be combined for heavier knits or stitch counts. Heavy-Weight Cut-Away Stabilizer - is the top selling weight for commercial embroiderers. Cut-away will stabilize thousands of stitches and still maintain a soft drapable finish. Heavy weight cut-away is the perfect stabilzier for sewing dense embroidery designs, or using for embroidered projects made in the hoop that you want to keep well stabilized. Poly-Mesh Cut-Away and Fusible - is a soft, sheer no-show cut-away mesh backing. It is very strong and can be used as a single layer. It is the perfect stabilizer for knits or any project where softness is a consideration. It is available in a plain, non fusible backing, or as a fusible which has all the benefits of Poly-mesh with the added benefit of an iron-on for even greater stability. Poly-mesh is available in three perforated sizes, making it a quick and easy stabilizer to use, as you don't need to cut it off the roll. Choose the perforated size to best suit your hoop. Ideal for light-weight knits, Poly-mesh helps keeps your outlines on track by providing a soft yet extremely stable backing. It is a must for any embroidery where the stabilizer touches the skin, like polo shirts, baby garments etc. as it will remain soft. Use this mesh stabilizer when embroidering on light-colored or see-through fabrics as the mesh wont show through. It is the perfect stabilizer for sheer fabrics as it is translucent and will remain soft after embroidery. If added support is necessary for your embroidery, use a layer of tear-away along with the poly-mesh to provide better stitch definition. Try using two layers, with the grain running perpendicular to each other for even greater stability. Use like a cut-away stabilizer, cutting away excess after embroidery. The translucent property of this stabilizer will prevent shadows showing through the fabric after trimming. Made of embossed nylon, which is soft, sheer, and translucent, no-show mesh provides the stability you need with a single layer, but will not be visible from the front of the shirt as will other stabilizers. Ideal for all lightweight knits or wovens where softness is a consideration. Hydro-Stick Cut-Away - a stabilizer with a water activated adhesive that sticks when you wet it, and then the adhesive can be released when you wet it again. It leaves no gummy residue on needles, hoops or machine parts. This is a great stabilizer to use when you need to position your fabric exactly in the hoop, as you can re-moisten a few times to reposition your fabric if necessary. It is the ideal stabilizer to use when embroidering on knits, as the adhesive keeps your fabric totally stable and it won’t allow it to stretch during embroidery. Hydro-stick is available as a cut-away or tear-away stabilizer. On Unstable Fabrics or Knits - Cut-aways provide the best stability for stretch fabrics or knits. As there is a lot of stretch in the fabric, you need a stabilizer that wont stretch in any direction. Choose a good quality cut-away stabilizer for this. Use an adhesive cut-away stabilizer like poly-mesh fusible to keep knits totally stable when embroidering. It is very difficult to hoop knit fabrics without stretching them or distorting them. Hydrostick is a perfect solution for this as you can hoop the Hydrostick, and then wet the stabilizer inside your embroidery hoop, and carefully place your knit fabric on top, without needing to hoop it. Cut-aways are a good choice for knit fabrics, because they prevent the designs from stretching out with frequent wearing and washing. Spray the stabilizer lightly with a temporary spray adhesive to help keep your fabric firmly in place. For Dense Designs - Cut-away stabilizer is designed for dense embroidery designs as it won't tear during the stitchout. Choose the correct weight stabilizer for your stitchout, depending on the density of your design. Use cut-away when embroidering fabrics that stretch or distort with tear-away stabilizers. Multiple layers may be used for heavy duty applications, or dense embroidery designs. Be careful to not over stabilize. If you use too much stabilizer, your design may not sew correctly and you could end up with a design that is very stiff. When sewing designs that are very dense and have many layers of threads sewn on top of each other try using a lighter weight thread for the embroidery. When you want a Permanent Embroidery Stabilizer - Cut-aways are permanent stabilizers that remain on the fabric and keep it stable during and after embroidery. Cut-aways are a good choice for knit fabrics, because they prevent the designs from stretching out with frequent wearing and washing. Use cut-away stabilizer on projects to be framed, where visibility of the stabilizer is not an issue, but you want a good result. 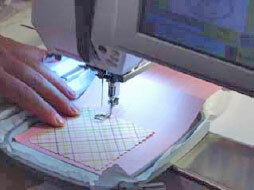 Use cut-away when sewing appliscapes, as the stabilizer will keep the appliscape square firm after stitching. Use a heavy cut-away stabilizer when sewing applique dsigns that you are going to cut out after embroidery and that you want to remain firm and intact. Hints for Using Cut-Away - Cut-aways are generally available in black or white. Choose the best color for your project. To remove a cut-away stabilizer, first rough-cut the excess stabilizer from the fabric. Then, using sharp embroidery scissors, trim close to the stitching. Cut-aways are available in a variety of weights. Get samples of the different weights and play around with them to find out which one works best for your projects. When using more than one layer of cut-away, only hoop one layer with your fabric, and then place another layer underneath your embroidery hoop for greater stability.You can use a spray adhesive to help keep it in place. When stitching on a fabric that will be marked or ruined by hooping it, hoop your stabilizer only, then spray lightly with a temporary spray adhesive. Place the fabric on top of the hoop. To ensure your embroidery won't shift during stitching, pin the fabric to the stabilizer, carefully keeping the pins outside the embroidery sewing area. Alternatively, use basting stitches. Only do this on fabric that won't be marked by the pins or stitches. To help avoid the “show through” look, use two layers of a lighter cut-away and trim them away at different levels. Use it when machine embroidering and appliqueing on knits like t-shirts, golf shirts, sweaters and sweatshirts, lycra swimwear, work-out and bike pants. The standard rule is if the fabric stretches, use cut-away. If it doesn't then you can use tear-away. You will usually get better definition with a cut-away than a tear-away. Cut-aways are usually more dense with a slightly longer fiber - therefore able to grasp the thread easier. The type of fabric determines the kind of backing. When you want the continued support of a stabilizer for the thread area through wearing and laundering use a cut-away stabilizer. Tear-away stabilizers are faster and easier to use, but only give temporary support during the embroidery process. Tear-aways have limited usefulness on unstable fabrics like knits or when sewing dense embroidery designs because each needle penetration weakens the tear-away and perforates it. Cut-aways are a better choice for designs with a high stitch count, open weave fabrics or light weight fabrics with a complex design. Sometimes if your stitch count isn't too heavy you may be able to get by with a quality tear-away on knits. However do test sew the design and stabilizer on similar fabric first to ensure the combination works before sewing it on your finished garment. Tear-aways are the preferred stabilizer for in-the-hoop embroidery projects. Fabrics that have loops (such as terry cloth); have a cut pile (such as corduroy and velvet) or have a very loose weave may be damaged by sticking to a stabilizer if that stabilizer will be pulled away after stitching. These fabrics are usually either hard to hoop or tend to mark with hooping, so they really need to be stuck. I like to use Vilene stabilizer and temporary spray adhesive for these projects. Vilene stays well in the hoop and is sturdy enough to support most fabrics. Because it dissolves with water, you do not have to worry about disturbing the pile of the fabric by pulling it away. Sometimes however, I find myself using a fabric that shouldn't be hooped or washed, and would be damaged by ripping away a sticky stabilizer. In these cases I use a regular piece of lightweight woven interfacing for my stabilizer and just trim away as much of the interfacing as I can after stitching. Usually these projects end up with a lining, and as interfacing is soft and pliable, you cannot tell that it remains. Knits are one of the fabrics that benefit from using woven interfacing as a stabilizer. The most commonly used stabilizer for knits is the non-woven cut-away. However, as a knit is already thick and spongy this just adds to the depth, which can cause design distortion. If you have ever embroidered a design on a sweatshirt using a cut-away stabilizer and ended up with a not-so-happy result, the stabilizer was most likely the problem. I like to use iron-on woven interfacing for all my knit projects. Apply it to the back of the fabric, ironing just enough to hold the layers together, and then add another layer of iron-on tear-away stabilizer over that. (The iron-on woven interfacing needs to be slightly bigger than the area of the embroidery design, and the iron-on tear-away needs to be slightly bigger than the hoop.) After stitching and removing the tear-away, gently pull up the interfacing and trim the excess from around the design. Some people like to use iron-on knit interfacing, which stretches in both directions. They usually use two or three layers placed at different angles. I find that woven interfacing works best and only one layer is needed. Remember, when embroidering on knits, the thinner the better! Peel and stick stabilizer is popular, but use with extreme caution, as the sticky is very sticky! Any stabilizer can be made into a "stick to" stabilizer by spraying one side of it with temporary spray adhesive. Monogrammed towels look lovely right after you stitch them. Do they look as nice after washing a few times? Denim shirts are such fun items to embroider, but have you tried to embroider light colors (especially white) over dark denim and gotten muddy or strange shades of color in your embroideries? Love the look of embroidery on printed, striped and dotted fabric…and hate the show-through that can happen? These problems can be solved with a wonderful product created by Hoop-It-All, Inc. -- dryCoverUp. This embroidery stabilizer is actually thin vinyl sheeting, sold in 17 different colors including clear. Most embroidery enthusiasts know that when stitching on textured fabrics, such as terry cloth, a water-soluble topping will keep the fabric nap from poking through the stitching. It also helps prevent the stitching from getting lost in pile fabrics. Yet this topping is water-soluble…it goes away when you wash it, just like it’s supposed to. Then what? Less than satisfied with my beautiful monogrammed towels after the second time through the wash, I decided to try out the new roll of clear vinyl topping from Hoop-It-All. Placed directly on the fabric, held in place with a very light spray of temporary spray adhesive, it worked just like a water-soluble topping. The excess tore easily away, and my embroidery looked great with no loopy show-through. Many washings later my towels still look good! Using dryCoverUp under light or white colored embroideries when stitching on dark cloth will keep your thread colors true, and even lend a little 3-D effect to the embroidery. It will also prevent unwanted show-through of fabric patterns in your designs. This vinyl can also be used as a permanent stabilizer on the back of embroidery when the stitching needs a very firm, permanent foundation. The manufacturer recommends that you match the dryCoverUp with your thread color. I have found that the colors I need help with the most are white and yellow, both of which tend to turn blue and green when stitched on dark denim. White dryCoverUp works well with a variety of pale colors. Although the cover-up is intended for use only with fill stitching, I’ve discovered that it also works wonderfully with large monograms that have a good layer of understitching beneath the satin stitches. On the down side, dryCoverUp is a little hard on thread. Using a slightly larger needle helps with both the stitching and the tearing away of the excess plastic. Don’t use a ballpoint needle, and stay close to your machine while stitching. If not pulled quickly and cleanly off, tiny pieces of the vinyl can show around the edges of the embroidery. If the area has an outline stitch, remove the excess dryCoverUp before stitching the outline, and this will help cover up those pesky little edges. As always, preshrink your fabric or garment before embroidering. I have chosen to explain briefly about the different methods of creating your own designs in your embroidery software. I must advise you right here and now that what I have written below is entirely my opinion. My opinion may not be your opinion and there are really no rights and wrongs with digitizing, just preferences. The main program that I use for digitizing is Embird Studio or PE Design, but most digitizing programs have similar features. There are now also several new-ish embroidery software programs on the market that allow you to just point and fill areas which very quickly gives you an embroidery design. While this is a wonderful quick way to create a design it does not always create the best result. You may find that outlines do not sew correctly or close enough to a design or that you have a lot of jump stitches to remove when you have embroidered your design. Do you remember when you embroidered a design from a pre-programmed card, CD or from one of the professional digitizers? You should have been impressed if the design embroidered out with either no jump stitches or the very minimum. This is the mark of an excellent digitizer. You will find that the professional digitizers do not use click and fill programs at all as they like to control the path of the stitching themselves and not leave it up to the program. The difference between the good and the excellent designs is the method used to create the design. I guess it's like that old saying your Mum had, "if a job is worth doing then its worth doing well". Check your program to see whether you have the option of actually inputting the stitches yourself rather than allowing the program to make the decisions for you. If you have this option it will be worth the effort to learn how to use it. The click and fill method is great if you are in a hurry and it is a one-off design you are doing, but if you intend stitching your design out time and again, then you should try to learn to digitize your design. When you use a click and fill type program and you move from one area to the next of the same color you do not generally have the option of how the stitching continues. The program takes the shortest route which is normally a regular jump stitch. However if you were punching the design yourself you would try and eliminate that jump stitch by changing your punching tool to a running stitch. Then you would run-stitch from one area to another through an area that would be sewn over later, thus covering this stitching. The other draw-back is in the creation of a design with a larger area of fill. I am sure you have all sewn out a design on fabric with a pile such as a towel to find that that the design does not meet in the centre leaving you with a line of no stitches. 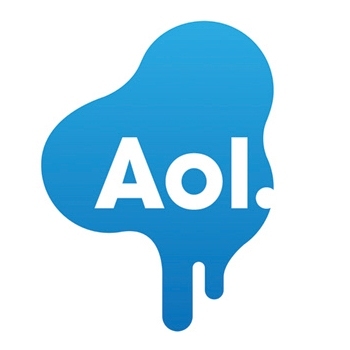 This is the sign of a design that has been created using the click and fill method. The design will begin sewing from one side then it embroiders towards the centre. Once it reaches a certain point the stitching moves to the outside and then sews back towards the middle of the design until it meets. But as you know, it sometimes doesn't quite meet causing you a certain amount of frustration. If the design has been Manual Punched the design will sew exactly as you have applied the stitches. Learning to manual punch a design isn't as daunting as it sounds. Sure, it takes longer to do it this way but the end result will be a lot better. As with anything practice makes perfect and just by having the courage to have a play around with the program will teach you a lot of new tricks. One way to start would be to create a design in a click and fill program and then take the design and add some other elements to it in your manual punching program. You can add bits of shading, outlines or whatever you fancy. Once you have tried this you might feel courageous enough to try manual punching a complete design. One step at a time. Remember to test, test and test. Here are 2 links to download two designs that I have prepared for you, as a sample of what I'm talking about. One design is done with Manual Punching, the other with Click and Fill . If you have Embird then you can run these designs through Sewing Simulator just to see what I mean about designs not joining in the middle from a click and fill program. Check the Manual Punched design and you will see that there are no gaps as it stitches from one side right through to the other side of the circle. Then you will have to make you own decision as to which method you would rather use when creating your designs. Do you settle for good, or would you prefer to be excellent? It's up to you. This tip is for those of us who sometimes have problems with the outline being off or a part of the design stitching on top of another part. Outlines being off registration are almost always caused by one of two things. Either the hoop got bumped or the design was not properly stabilized. Sometimes it will be due to a poorly digitized design, but more often it will be caused by one of those two things. By poorly digitized I mean that the design has all the fills running in the same direction and no underlay. Many times all the fills will run at the default angle of 45%. This is on the bias of the material and will cause a pull in that direction. Many times an outline will be off because of a thread nest that has occurred. Sometimes it is caused by a broken needle. When you clear away the thread nest and start stitching again, many times the design will have moved a bit due to the pull. It does not take much for the machine to be pulled off track a little bit. Just a tiny bump to the hoop can do this. Then when you start stitching again and realize that the design is stitching over on top of itself and have to stop and pick out stitches, it is very frustrating. I have found that most of the embroidery machines have a forward search feature. All of mine do. The way to cure the above problem is to always stop the machine, turn off the machine and then restart it, forward search to the right place and then start sewing again. This will reset the machine and the design will be back in the proper place. Also if you have one of the machines that has a feature that allows you to combine designs at the machine, you should always use that. Mine has an embroidery edit feature. You can use this to bring the design up in the machine, save it to memory and then if your thread nest or broken needle or any of the other things that can happen do. You can then turn off the machine and let it reset itself, turn the machine back on and bring the design back in from memory. Then it will be at exactly the correct placement and you can forward to the correct spot to start stitching again. This way, you will return to the correct placement even if you have positioned the design differently than it comes up from the card. Other times ,the design will be off due to the hoop getting a little bump during the embroidery process. The same cure works for that too. Reset the machine. Sometimes you will be doing a design on fabric or something large and heavy. This can create a drag that will pull the design off the track too. Find a way to rest the fabric on the table so that is not dragging against the hoop. Don’t we have a wonderful choice of designs available to us these days, either over the Internet or on embroidery design cards? But how many times have you found the perfect design to realize that it’s not in the size that you want to embroider it? Do you sigh in frustration and look for another design in the size you want or do you have a go at re-sizing the design? Have you tried re-sizing the design and found when you embroidered it out that it was either too dense or had gaps in the design? The “powers that be” state that when re-sizing designs that the maximum that you should re-size up or down in size is 20%. Beyond that amount the quality of the design isn’t guaranteed. However I have taken designs such as Amazing designs and re-sized them by 100% successfully. It depends entirely on the design itself whether it can be re-sized by a large amount and also a little bit of “insider knowledge” and a correct program for re-sizing. If you do not own a software program specifically for re-sizing then you are really stuck with either re-sizing on your machine – if your machine has this function – or resizing in your machine's embroidery software if you own it. Then you really are limited to the 20% increase or decrease in size. Any size beyond that is taking a bit of a risk on the finished result unless you test the design first at your new size. If you resize upwards you risk gaps because as you enlarge the design you are also lengthening the stitches including any satin stitches. As satin stitches are generally already longer stitches, by increasing the size of the design you are also increasing the length of the satin stitches to such a degree that your embroidery software “thinks” that these stitches are actually jump stitches. Then when you view your design in a realistic or 3D view you will see the gaps in the design. The reverse will happen when you decrease the size of a design without re-sizing software. Your stitches will bunch up as you are squashing them into a smaller area. You will now be in the danger of breaking needles when you embroider and we all know what ”fun” that is. The best way to re-size designs – if your embroidery software doesn’t have this function – is to purchase a program that is designed for re-sizing. My favorite (of course) is Embird. In Embird Editor you can take a design and increase or decrease the size of it and also increase or decrease the density if you wish. This means that the stitches will re-calculate if you choose certain settings. There is also the ability to change satin stitches to fill stitches if the length of the satin stitch goes higher than a set size. This means “no more gaps”. Embird also allows you to change the density of just certain parts of your design as well. If you find a design is too dense in one area only then you can separate this part of the design and change the density of just that part. I am sure that if you own Embird that you have already discovered that it is an excellent all round editing program as well as being great for re-sizing. For those of you that don’t own Embird then you don’t know what you are missing! !